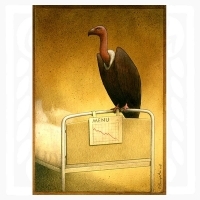 The name of Pawel Kuczynski (1976) is pronounced with great respect at the most famous cartoon festivals around the world. 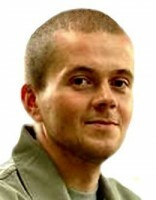 Although his star has flared up only relatively recently, still rises up and up. Already at a very young age, this native from Szczecin in Poland and a graduate from the Academy of Fine Arts in Poznan in a very short time achieved so much success internationally, that many of authors of several generations older than him can only dream about. 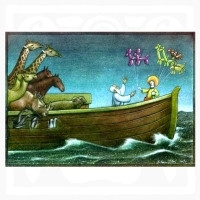 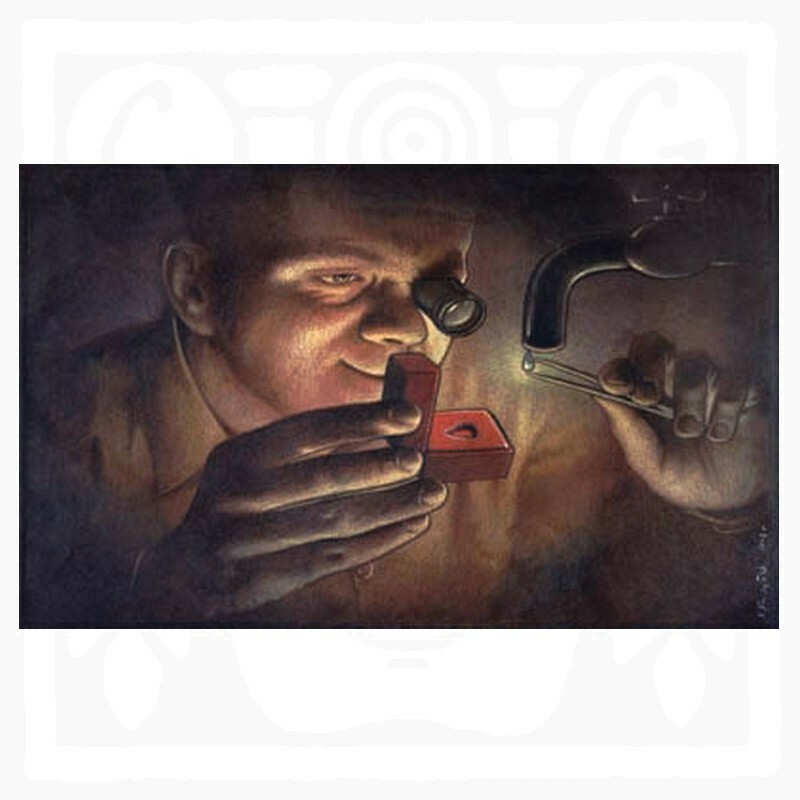 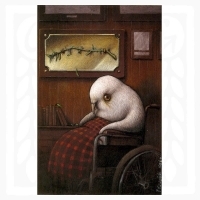 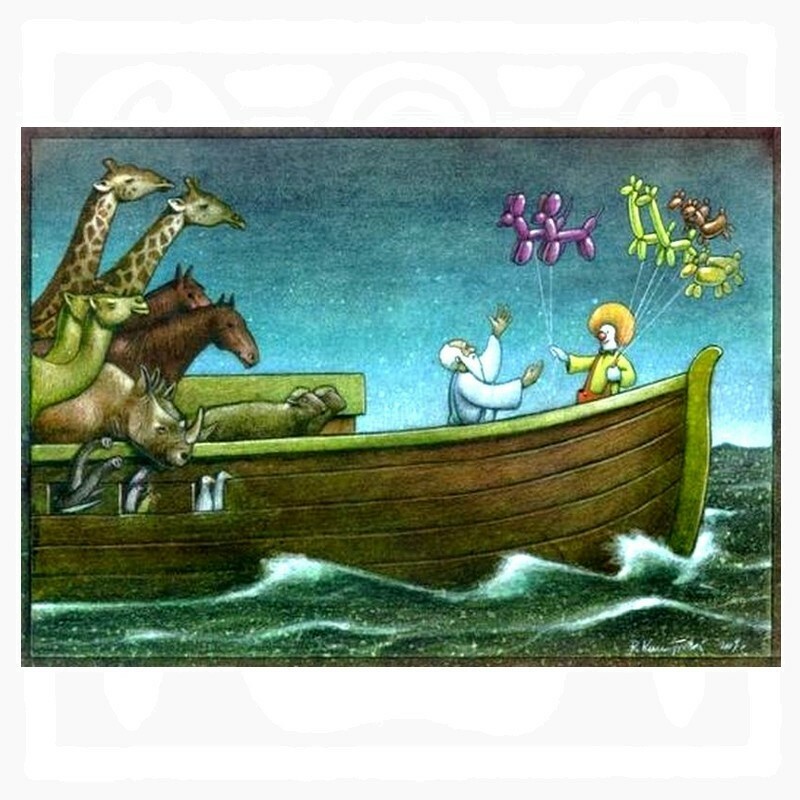 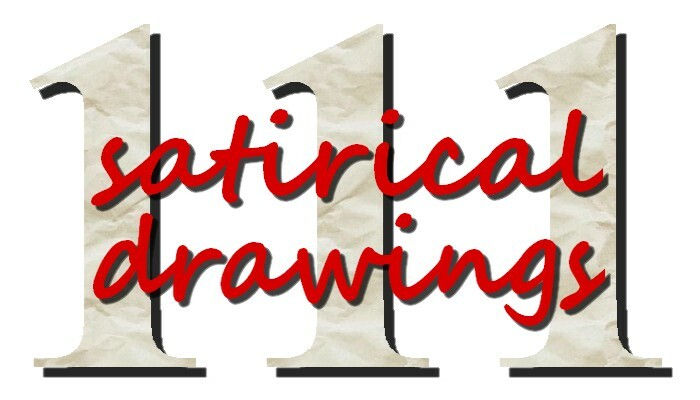 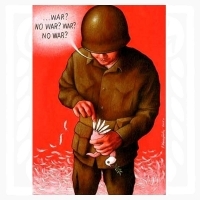 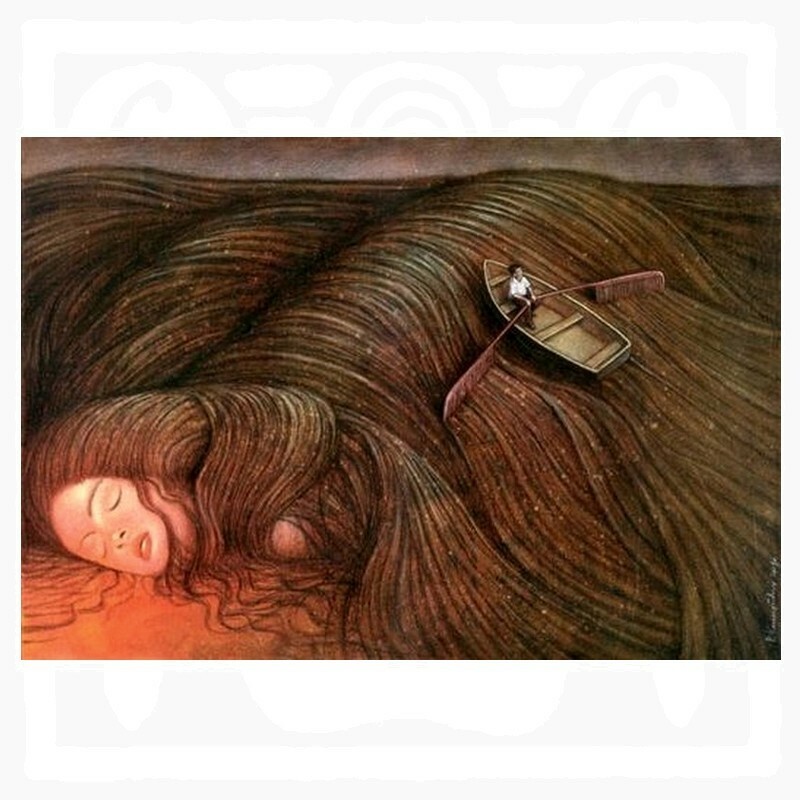 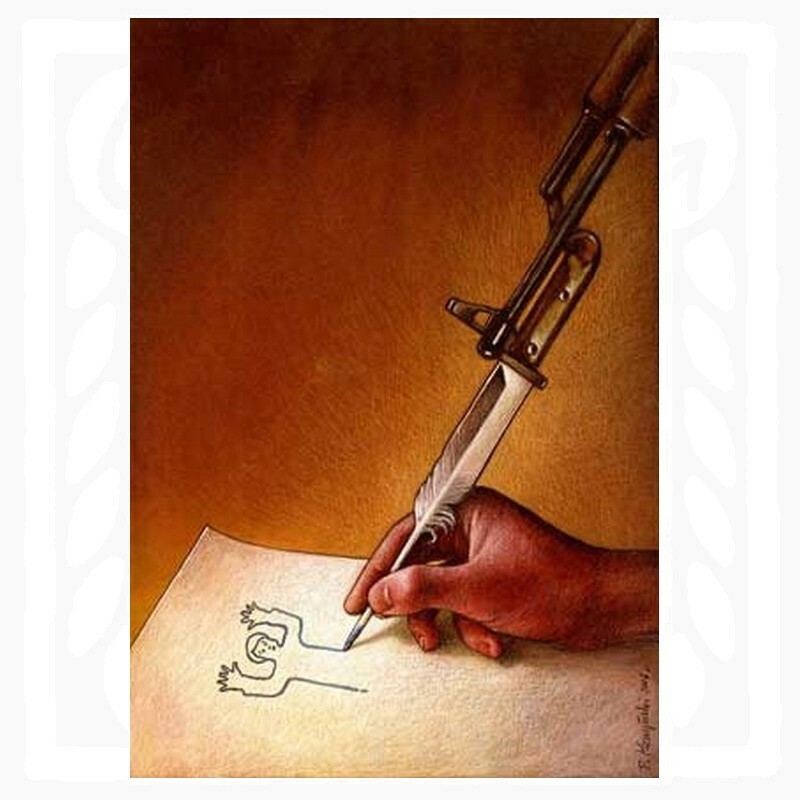 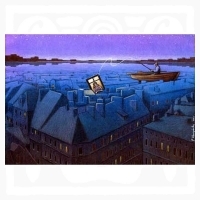 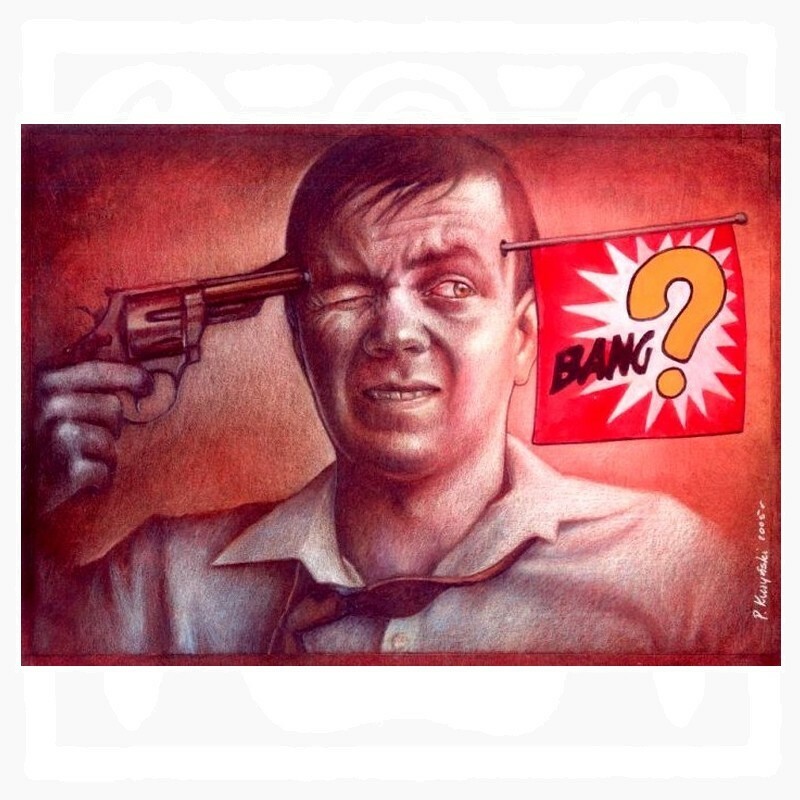 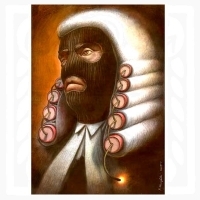 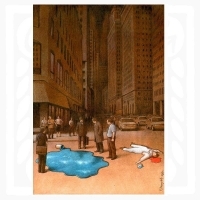 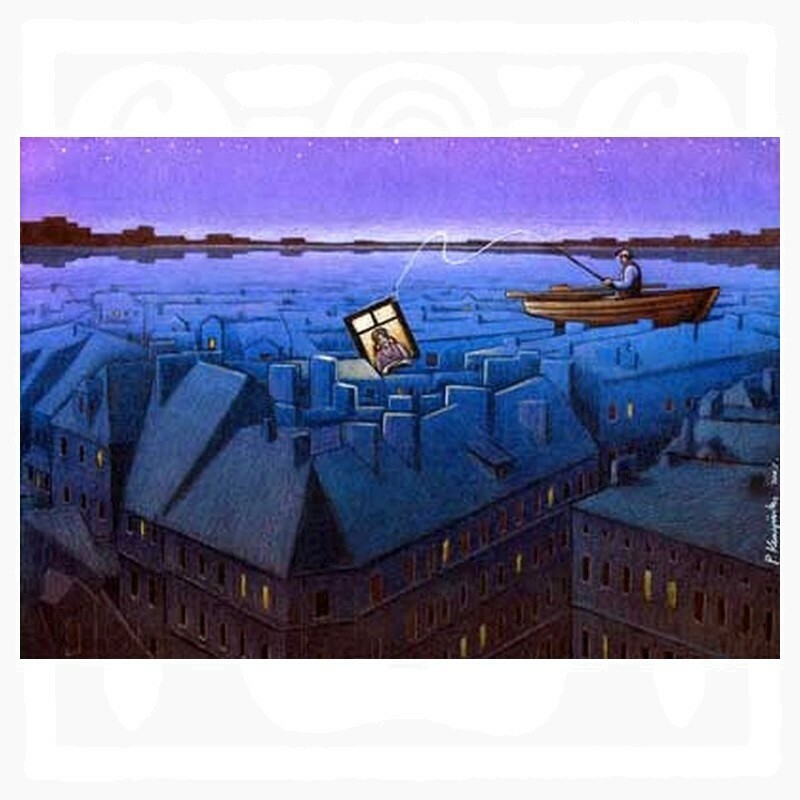 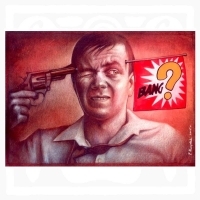 (The Polish Association of Cartoonists in 2005 awarded him the prestigious “Eryk” prize determined for the newly discovered artist with a record number of awards at international competitions). 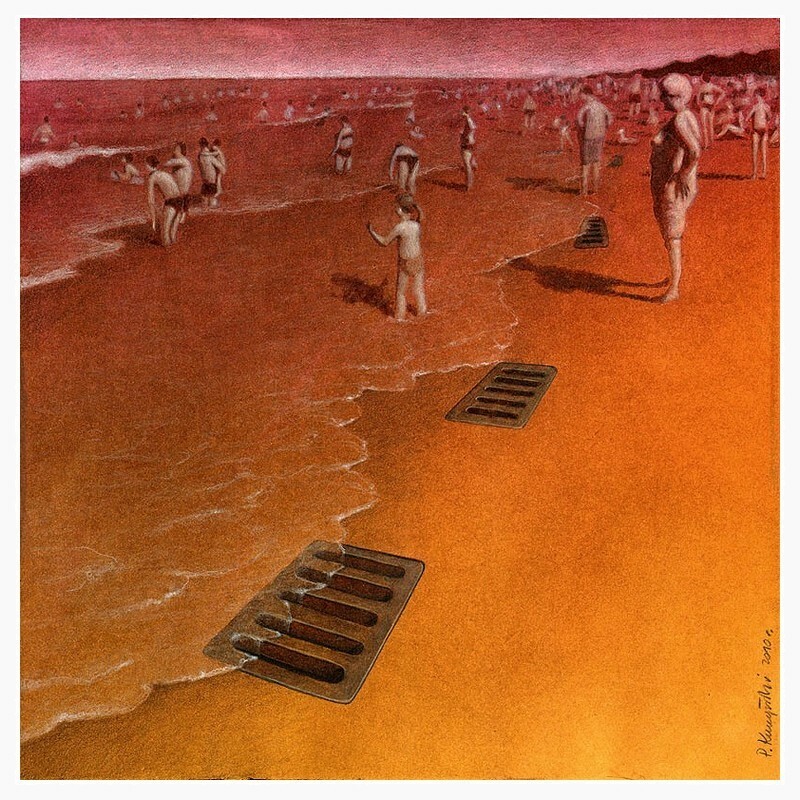 ……Pawel Kuczynski as an infant prodigy of Polish art whose eyes as if have been equipped with the finest engraved optics creates by his brilliant technology images brought to absolute perfection. 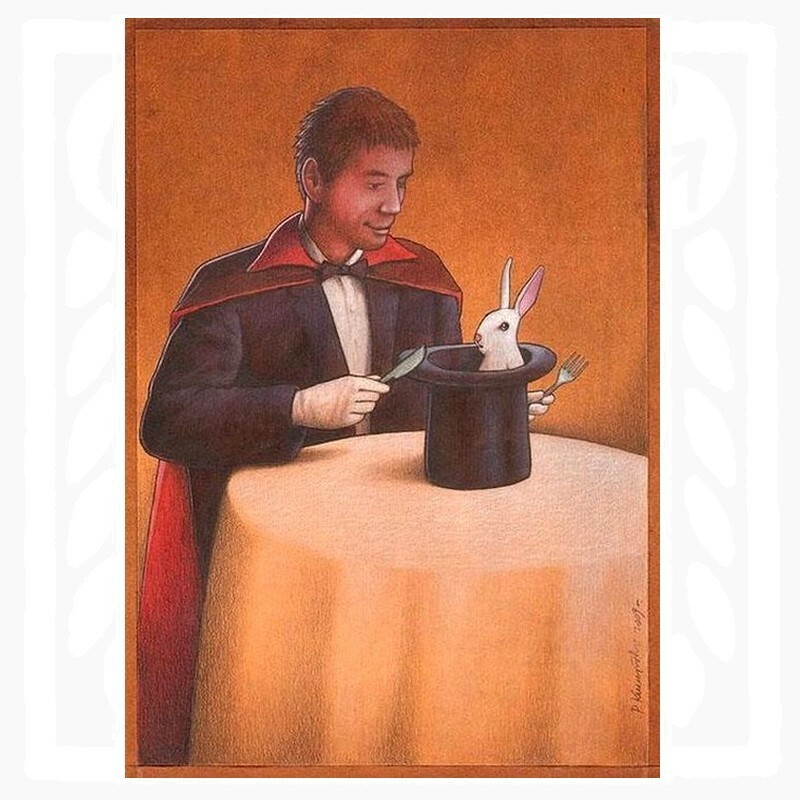 They are often more realistic than reality itself – sometimes we have to wipe our eyes, if it could be possible and if we are not just dreaming. 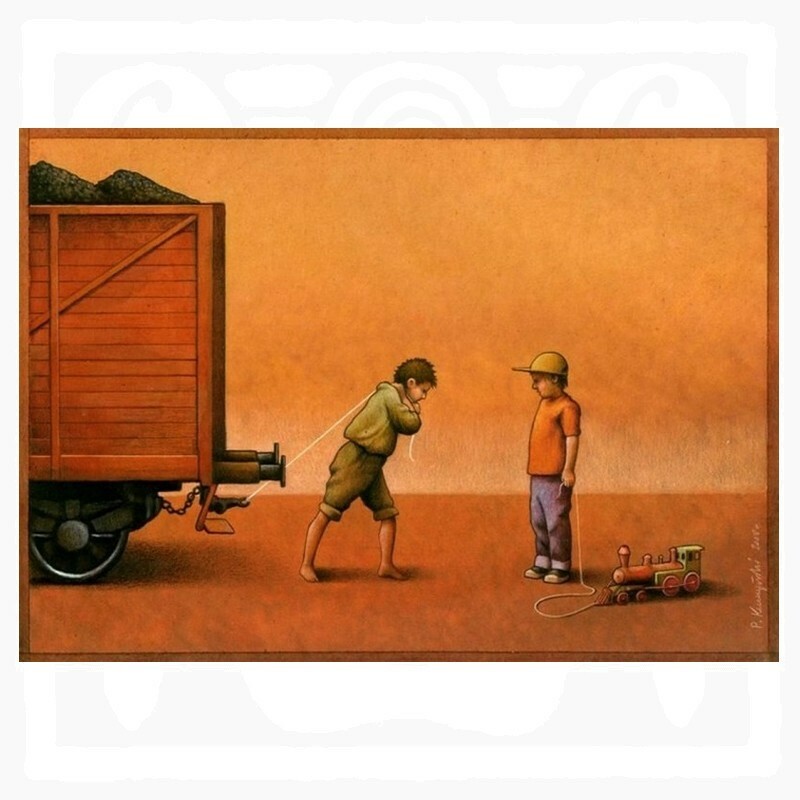 Inspite of his youth, already perfectly matured artist with his own vision of the world, unmistakable style and almost hilarious joy of colours. 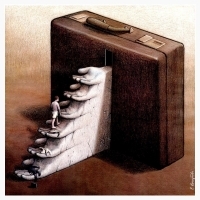 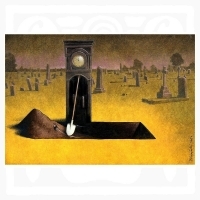 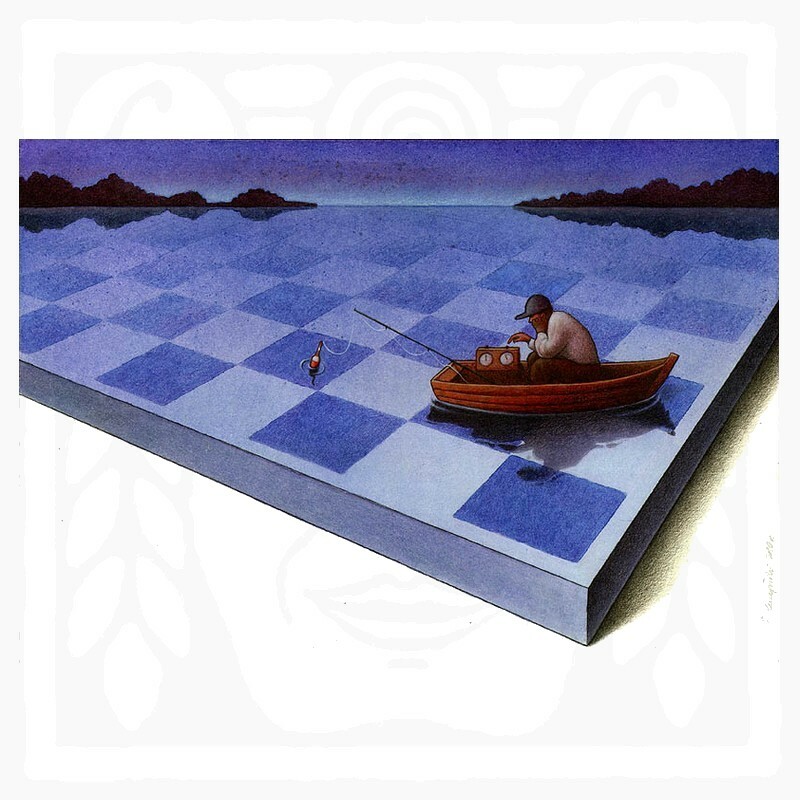 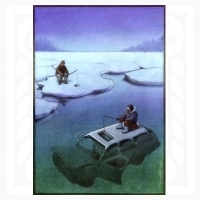 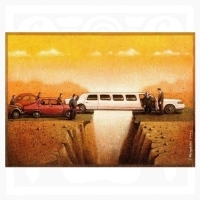 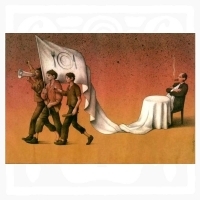 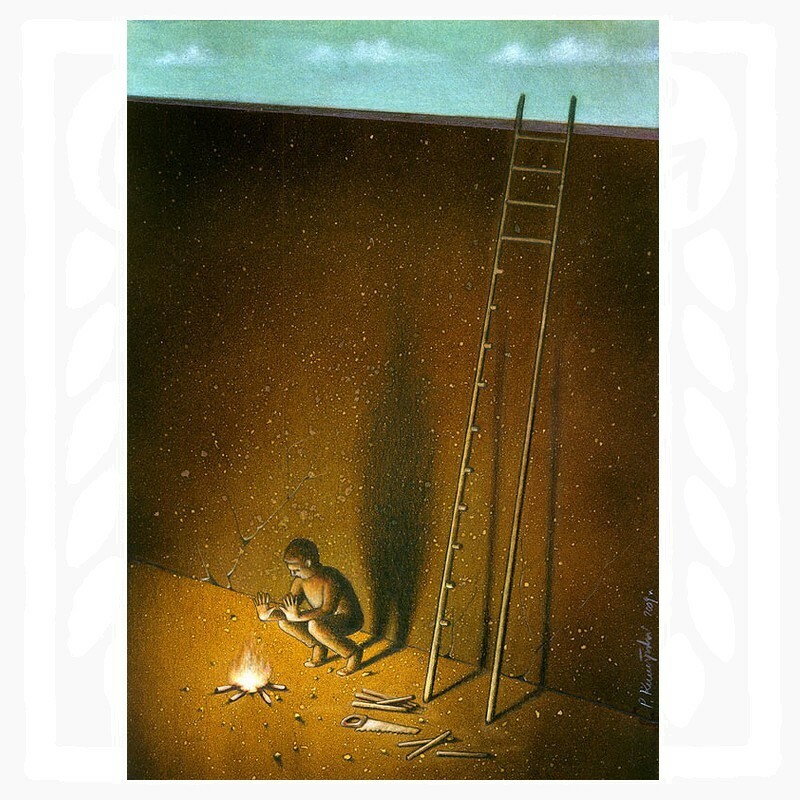 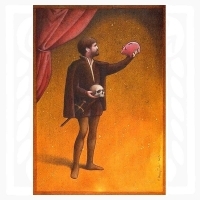 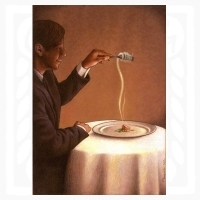 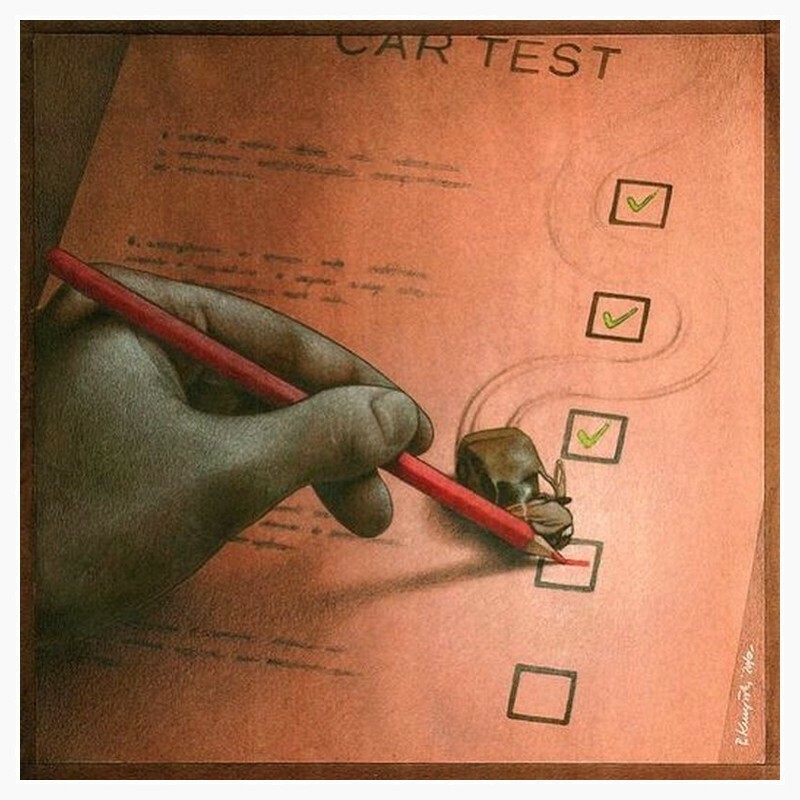 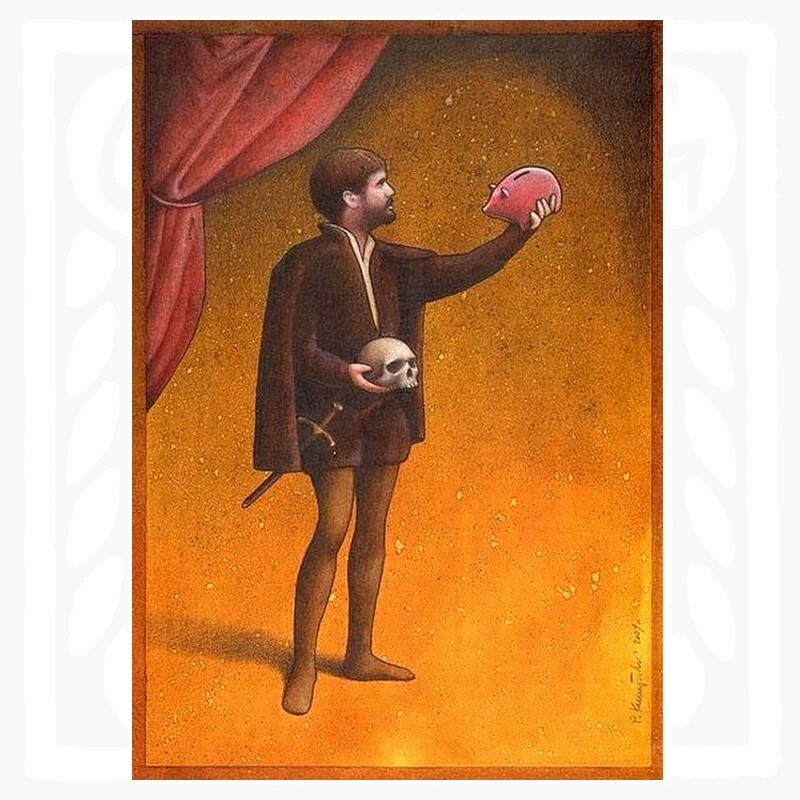 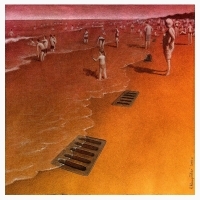 A huge talent, which Pawel Kuczynski owns, does not need to ask anyone for the way. 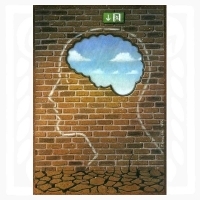 He specifies himself his own rules and walks by decisive steps to the direction, that he has set himself. 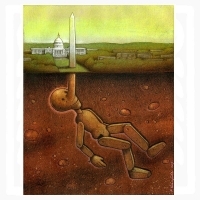 And it is absolutely impossible to overlook him. 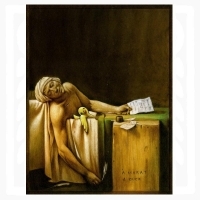 ……Philosophical and ethical message of his works even in the slightest way does not lag behind their formal perfection. 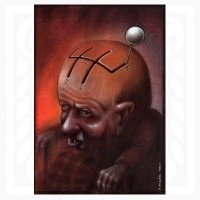 Certainly he is not devoted only to a light jokes – his work is full of question marks and exclamation points. 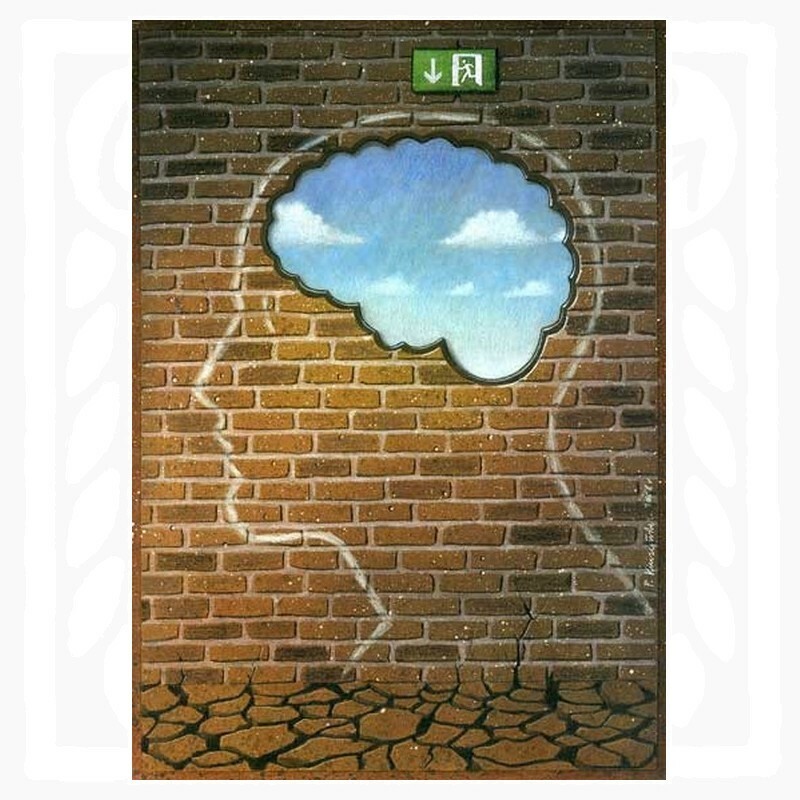 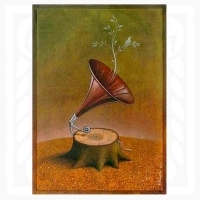 Extremely sensitive soul of a young artist, still not deformed by long-term accepting of compromises, is continually and persistently looking for solutions of ethical rebuses. He doesn’t hide his head in the sand against distortions of our world and our characters, he is not able to pass over acts of indifference, cruelty and violence around us and inside us. He doesn’t deviate, however, to soulless mentoring and boring moralizing. 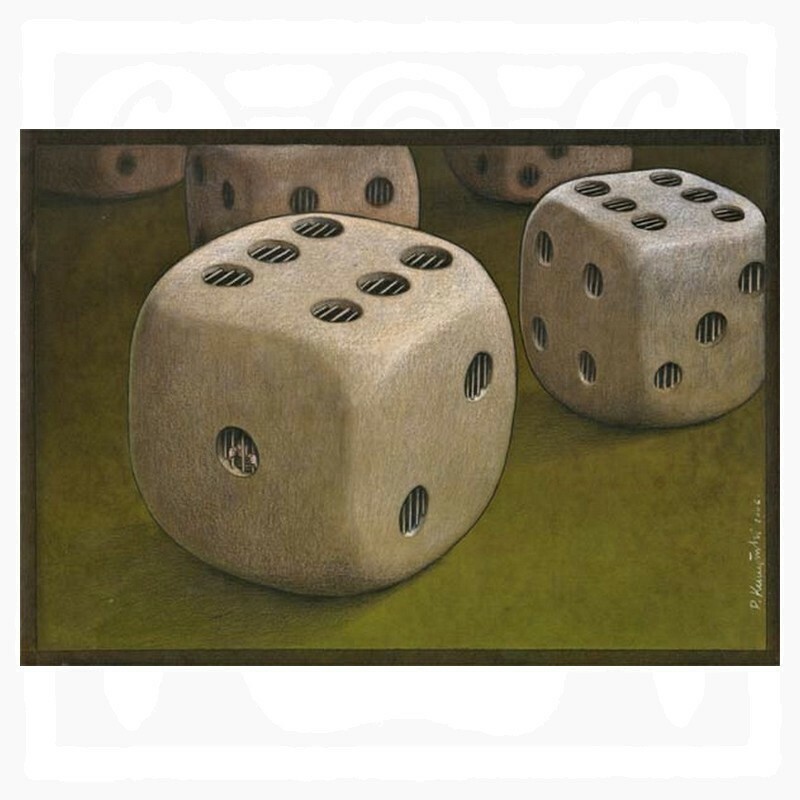 By clever rearrangement of the usual “constants” and “configurations” of our daily routine creates a new surreal reality and makes us see things in just a completely different light and in absolutely new context. And maybe tap our forehead and introspect who we really are and where we actually are going to. 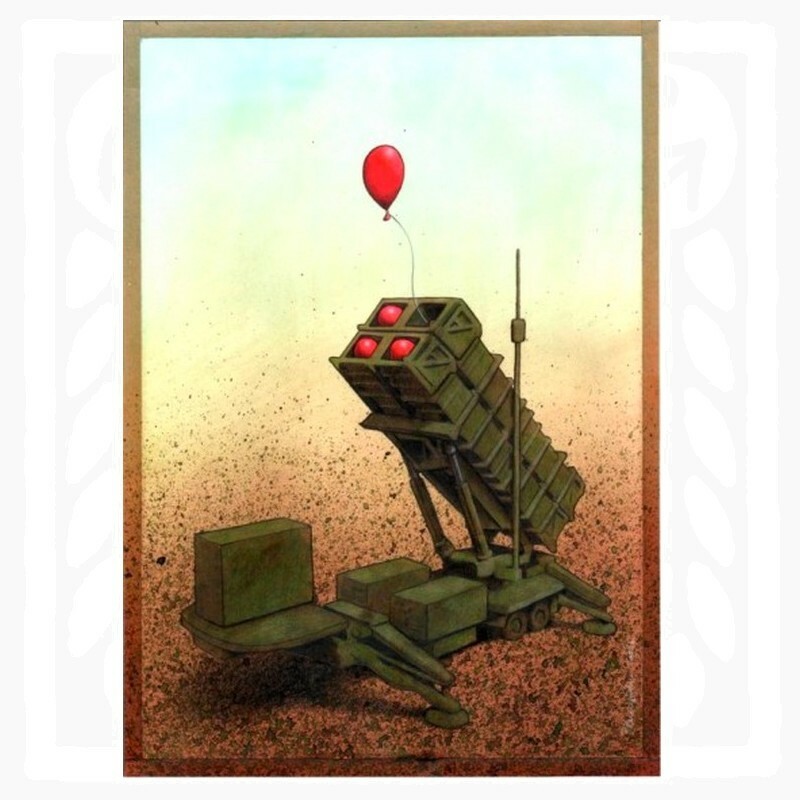 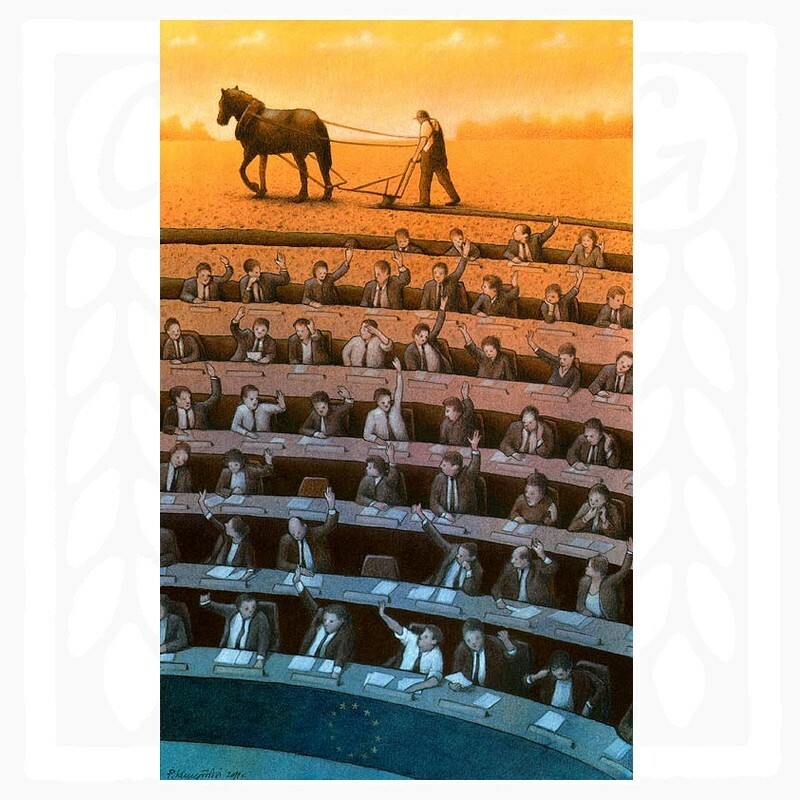 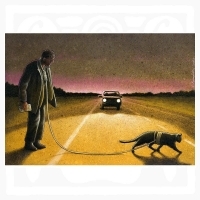 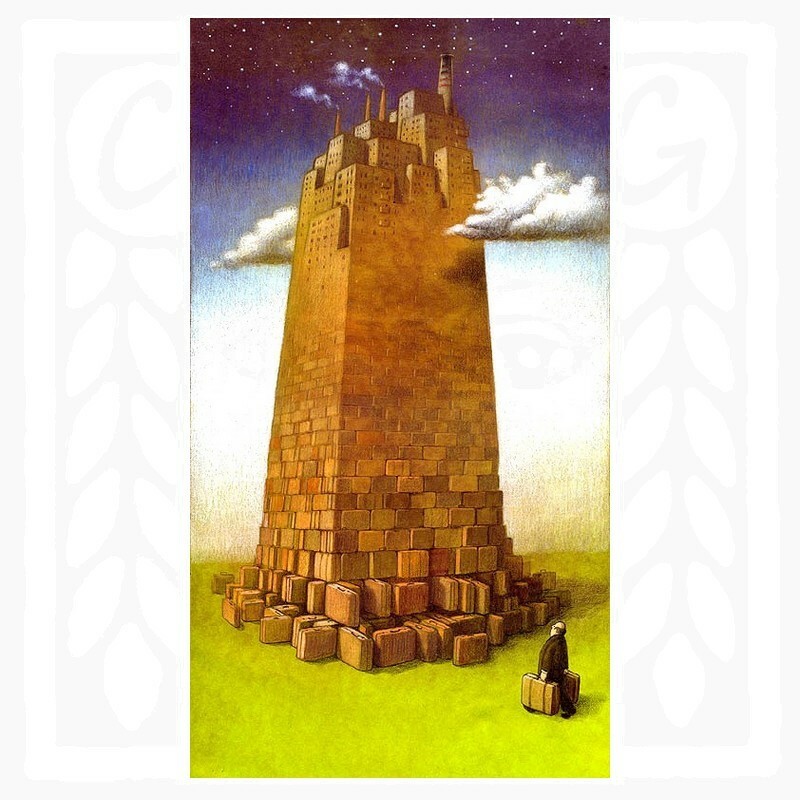 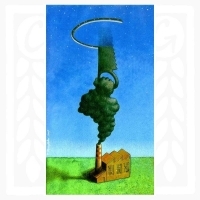 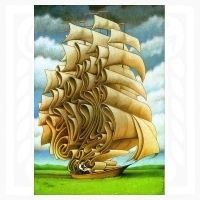 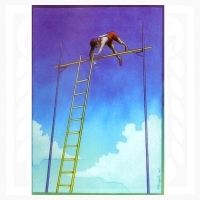 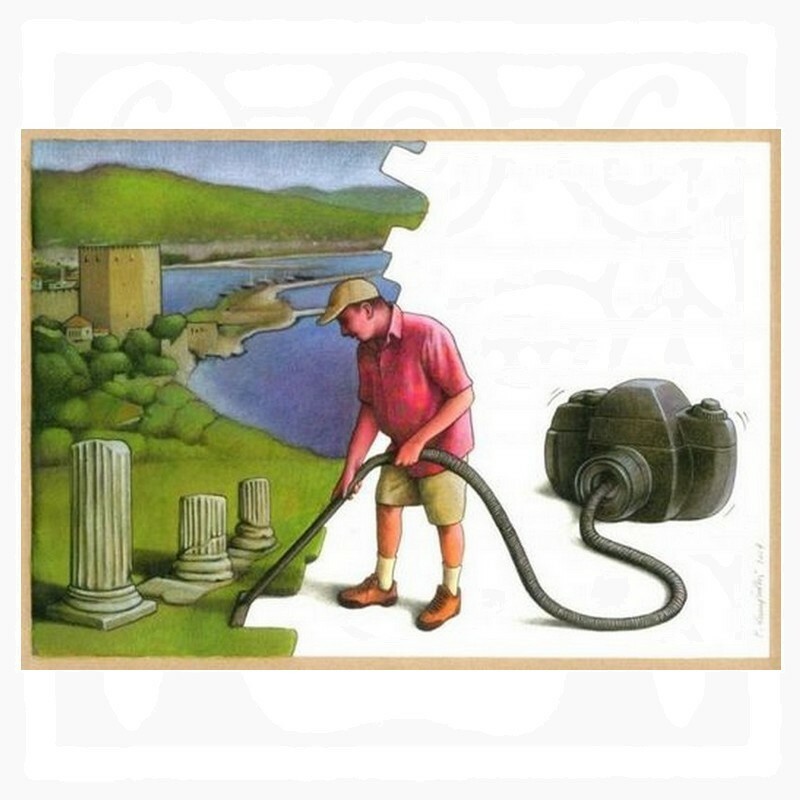 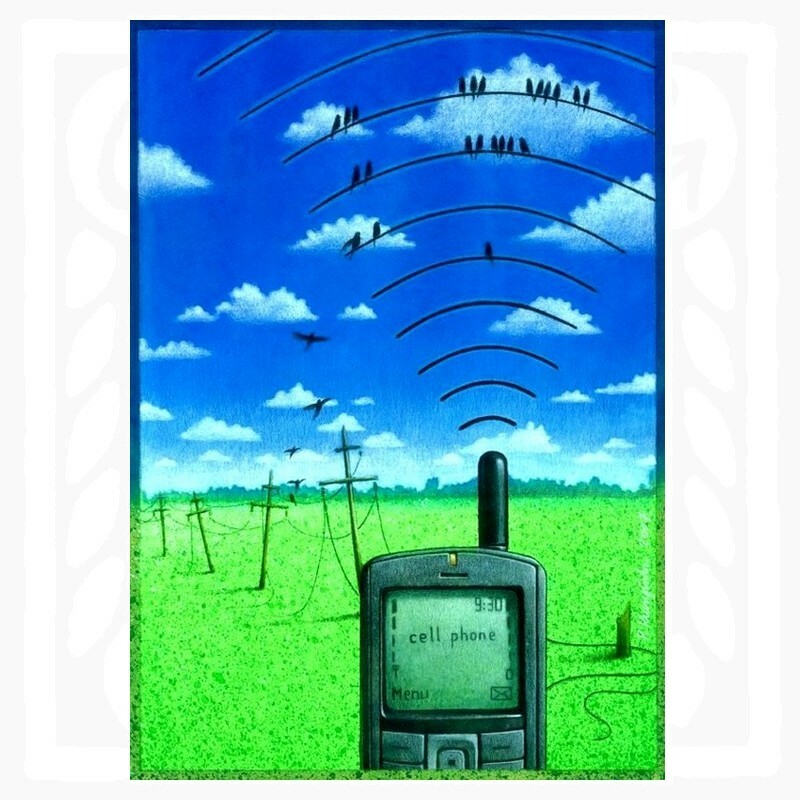 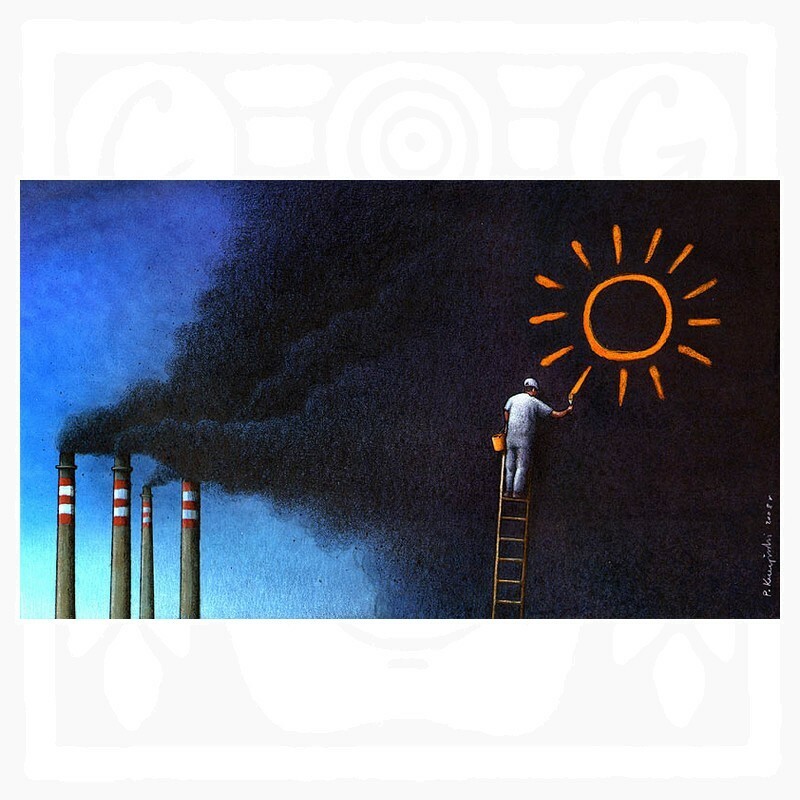 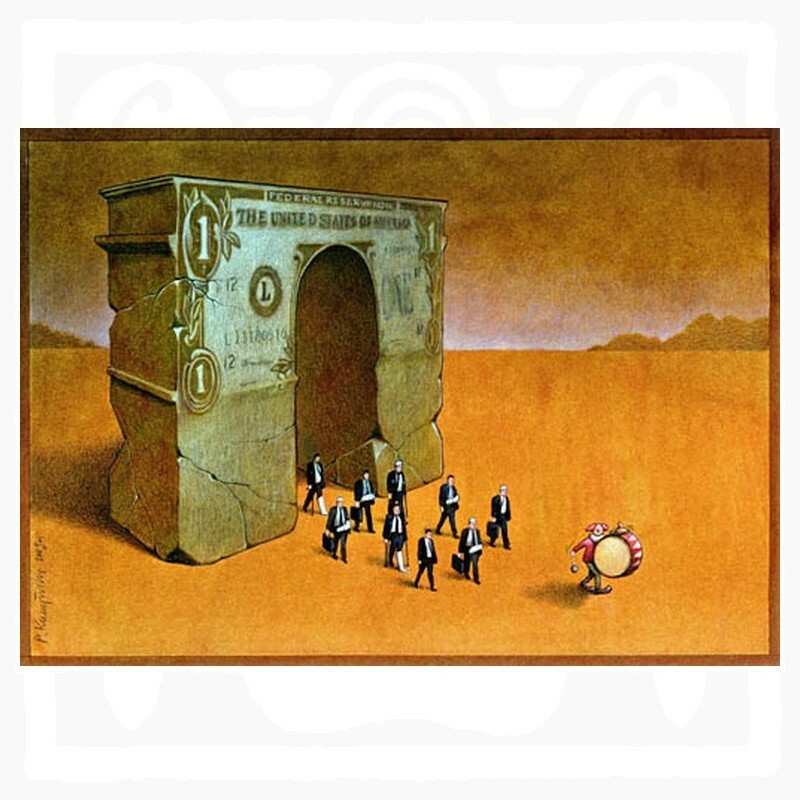 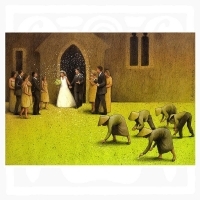 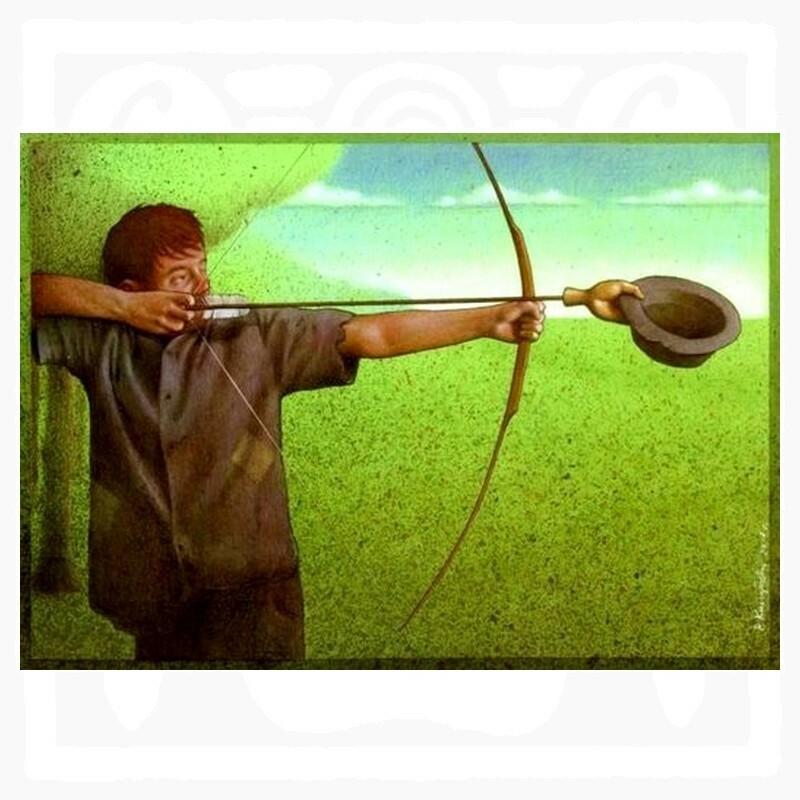 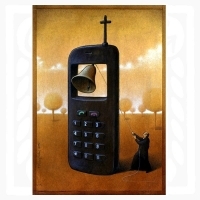 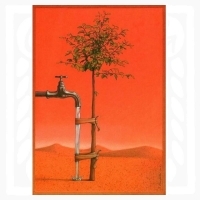 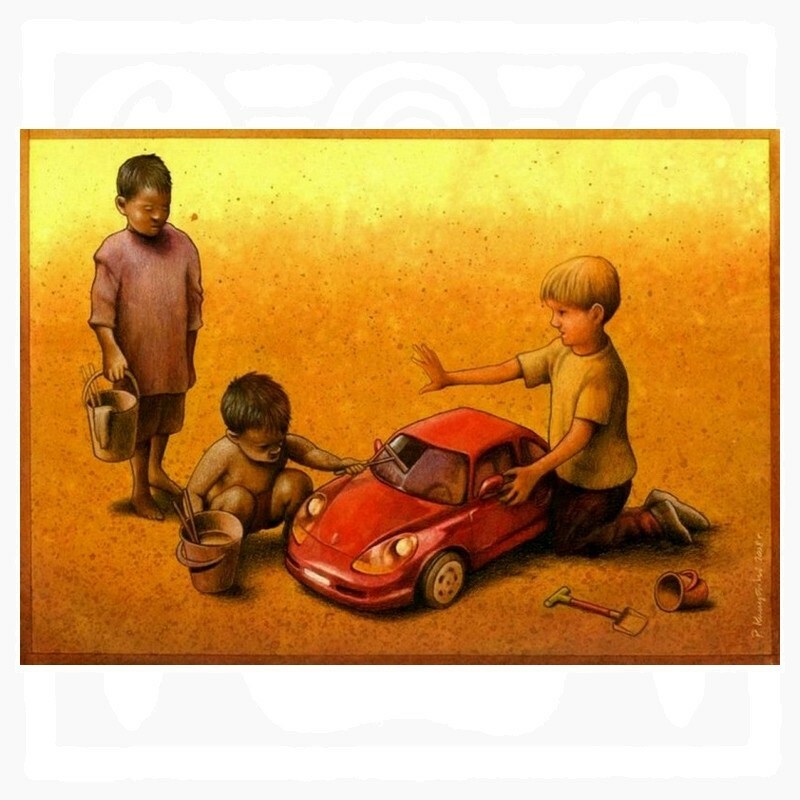 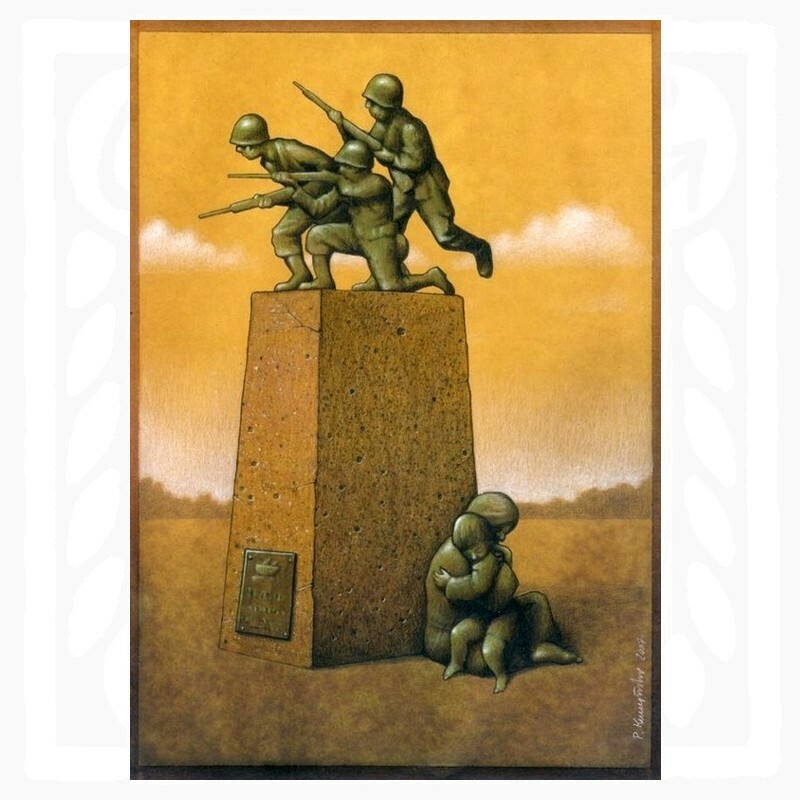 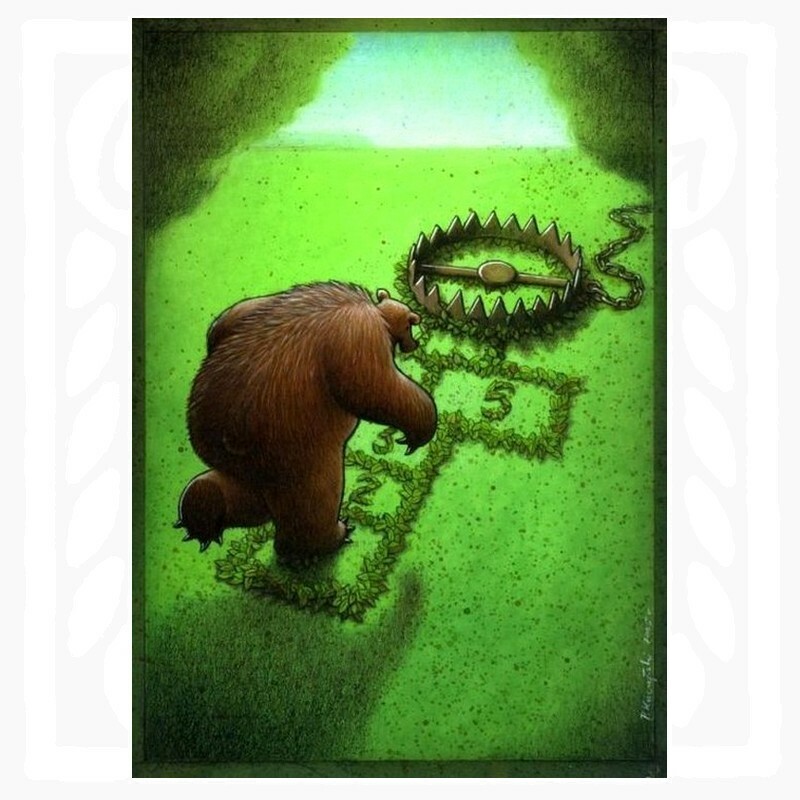 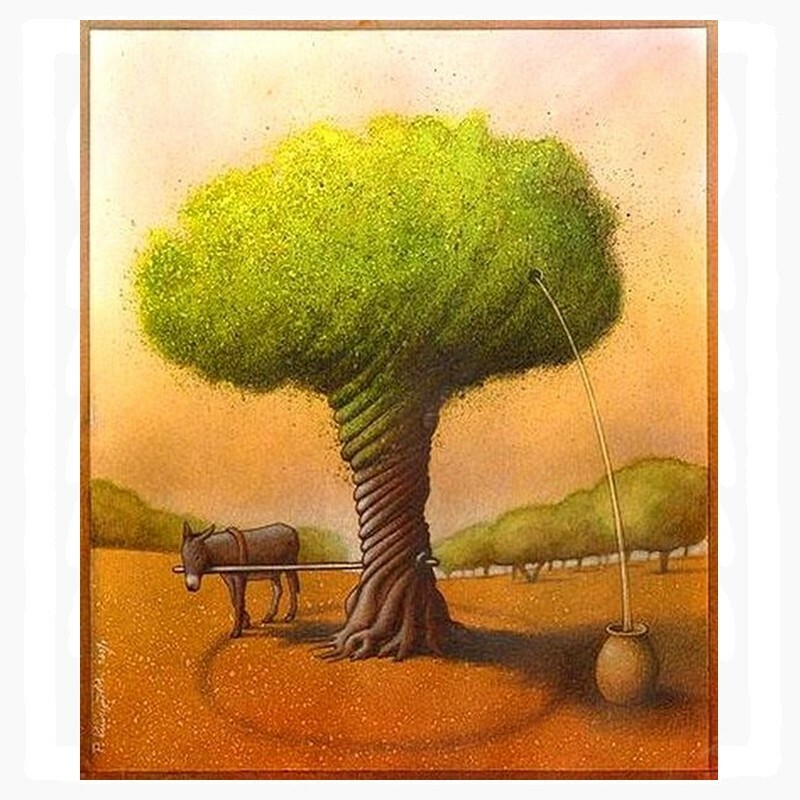 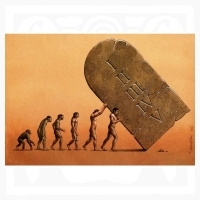 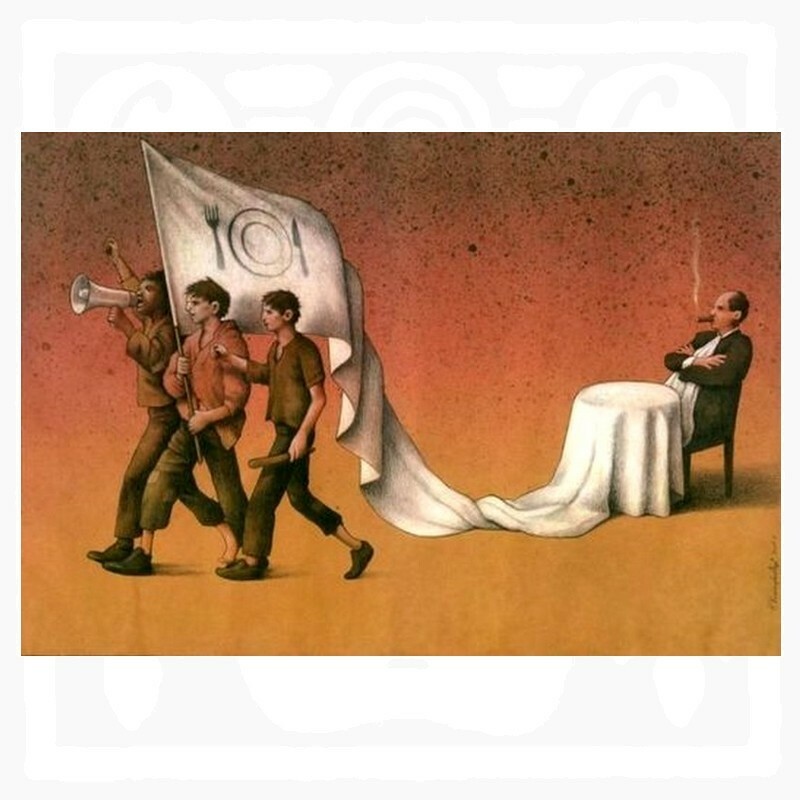 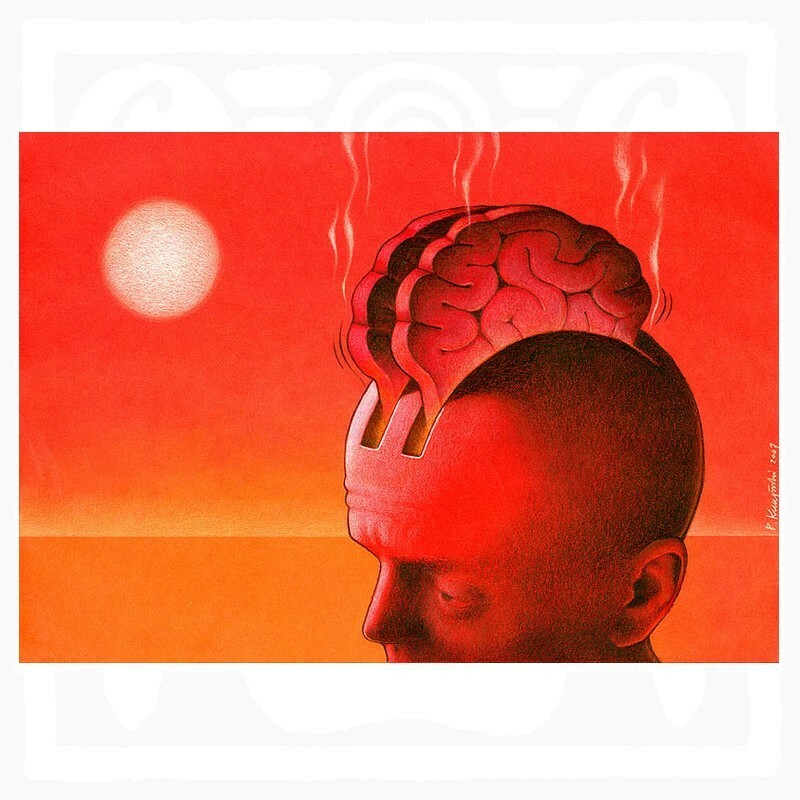 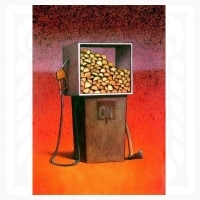 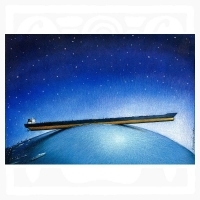 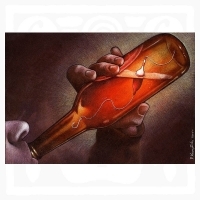 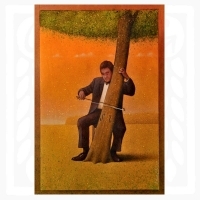 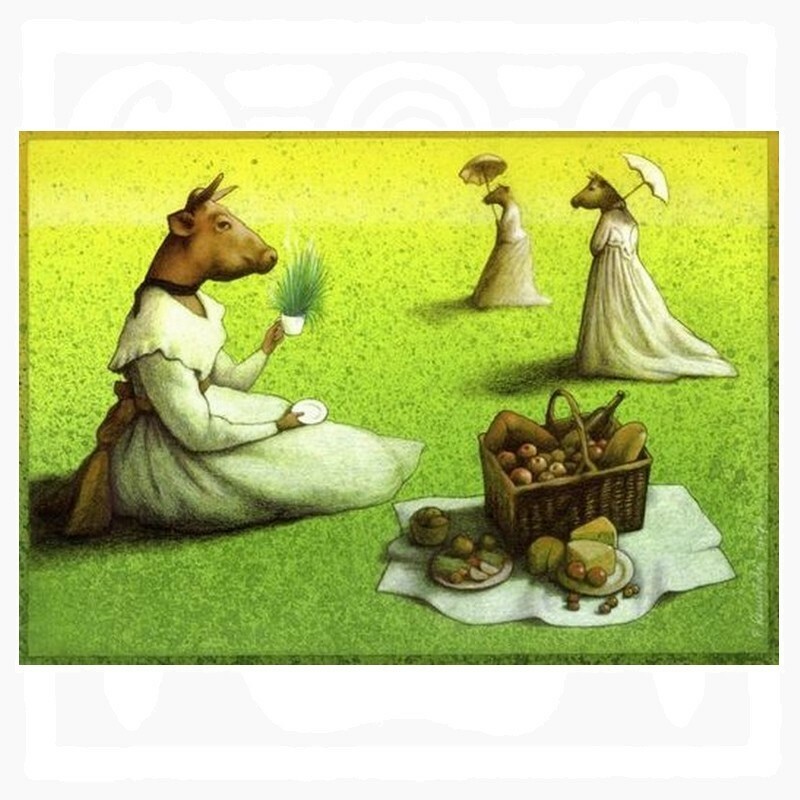 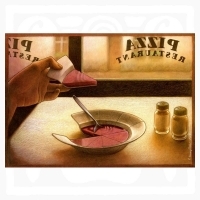 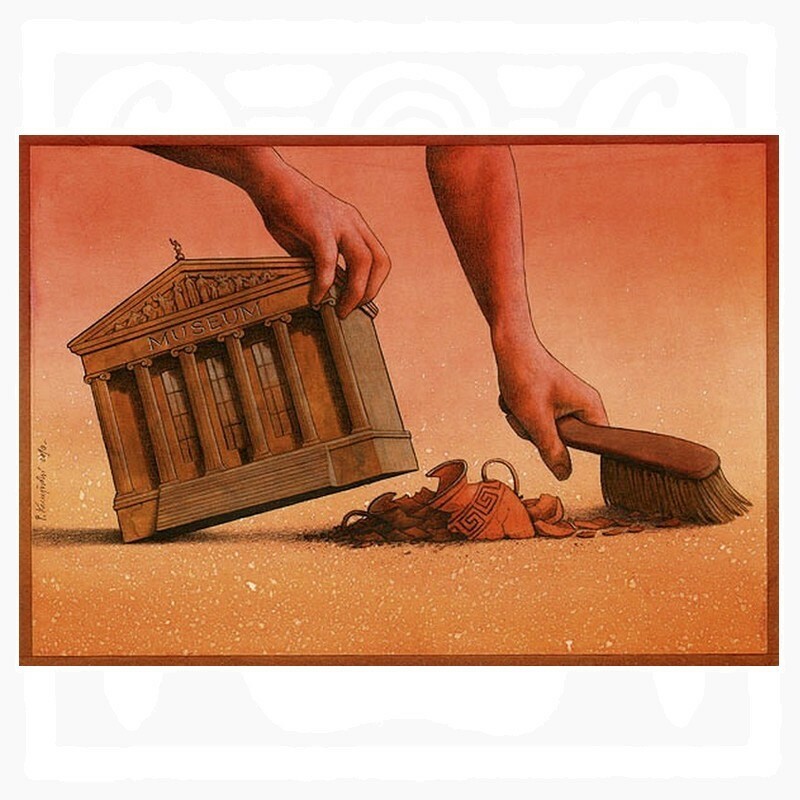 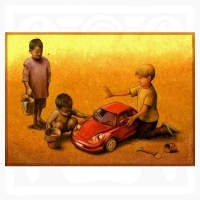 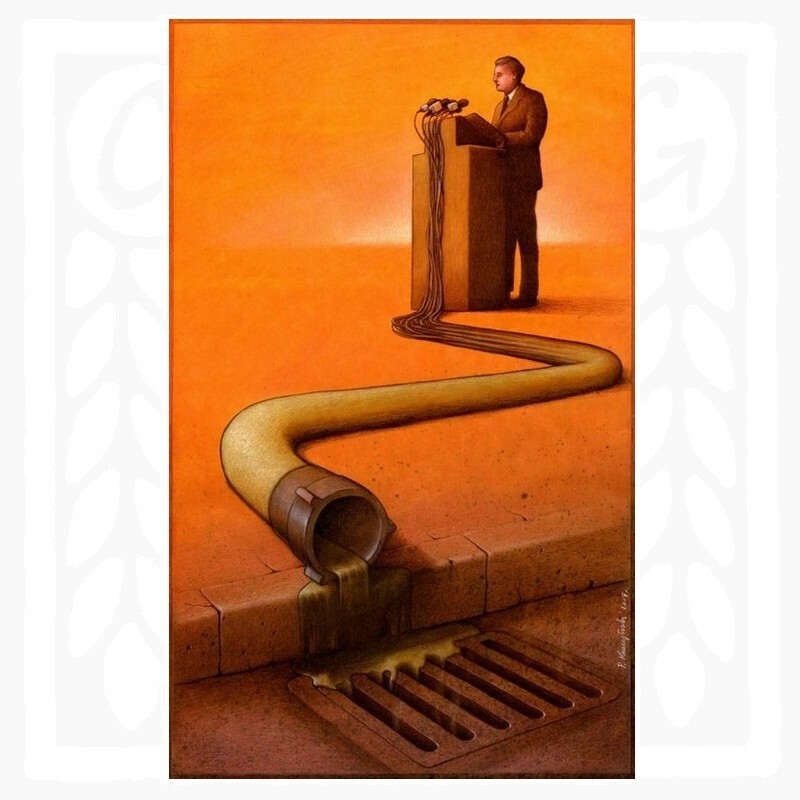 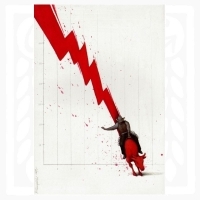 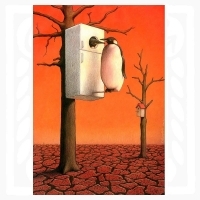 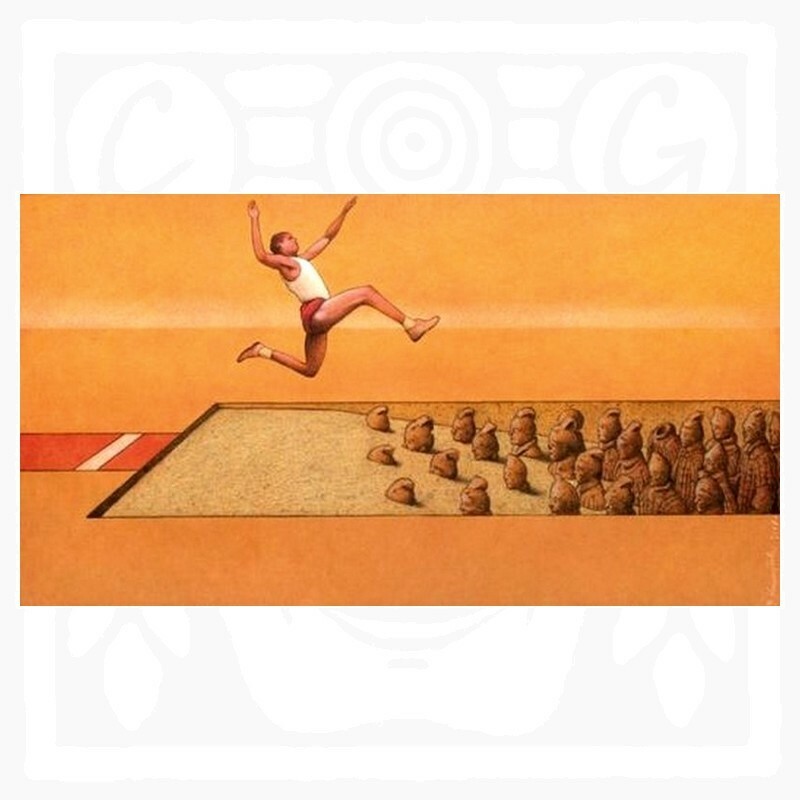 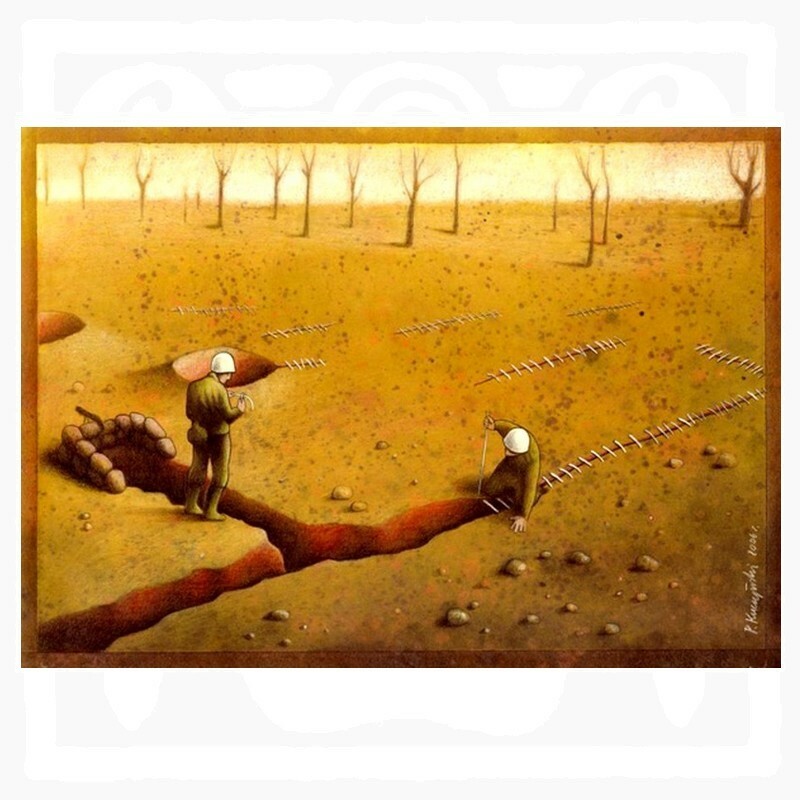 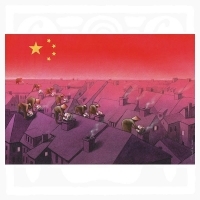 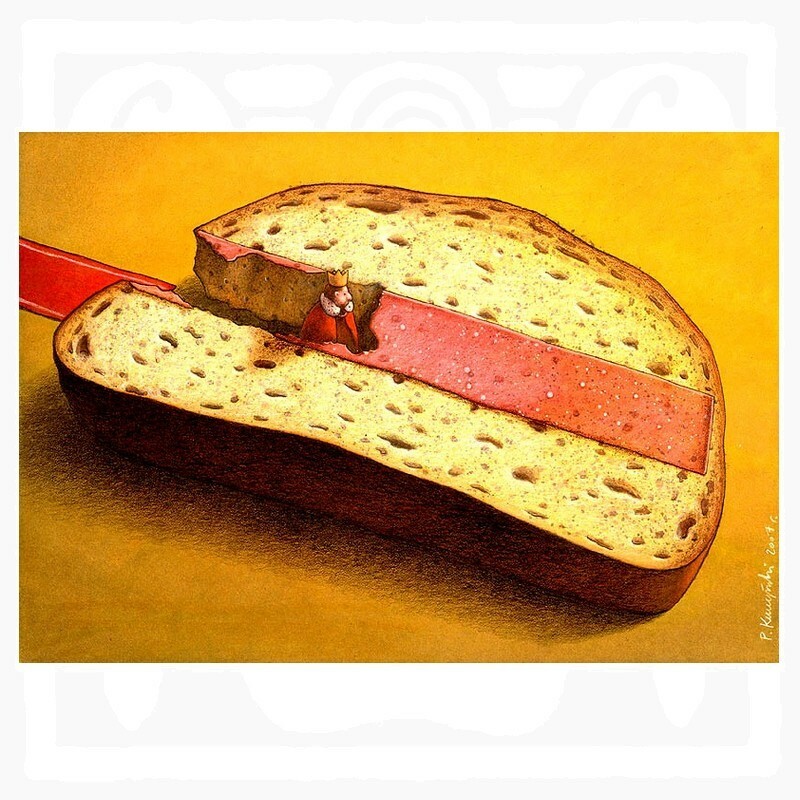 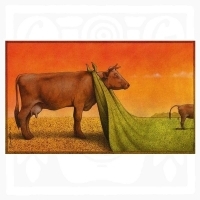 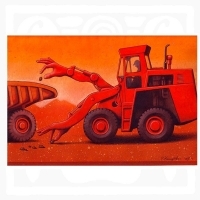 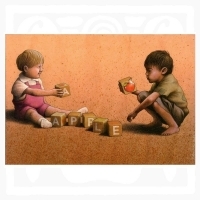 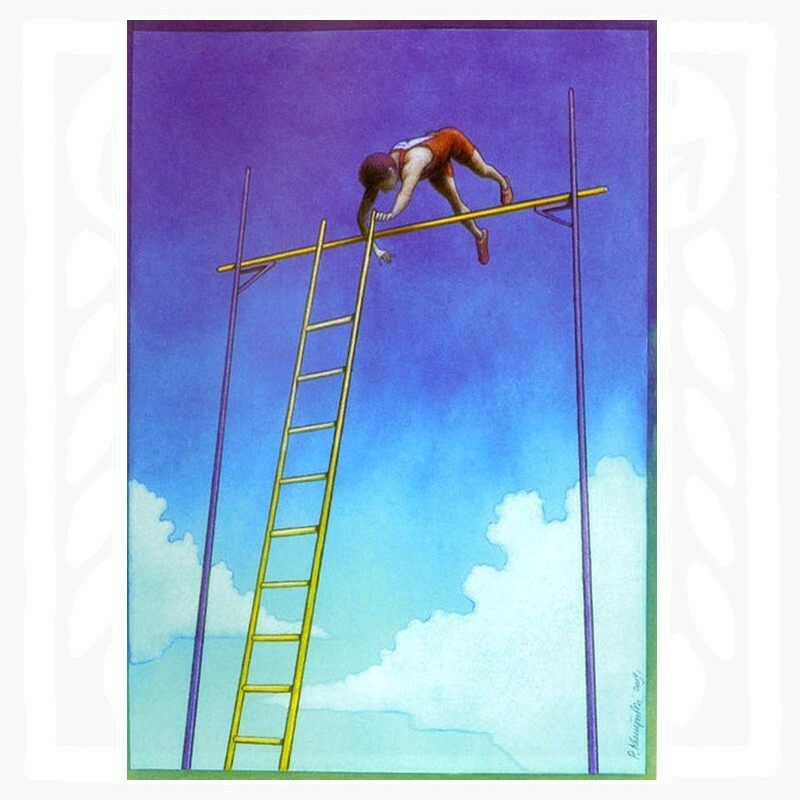 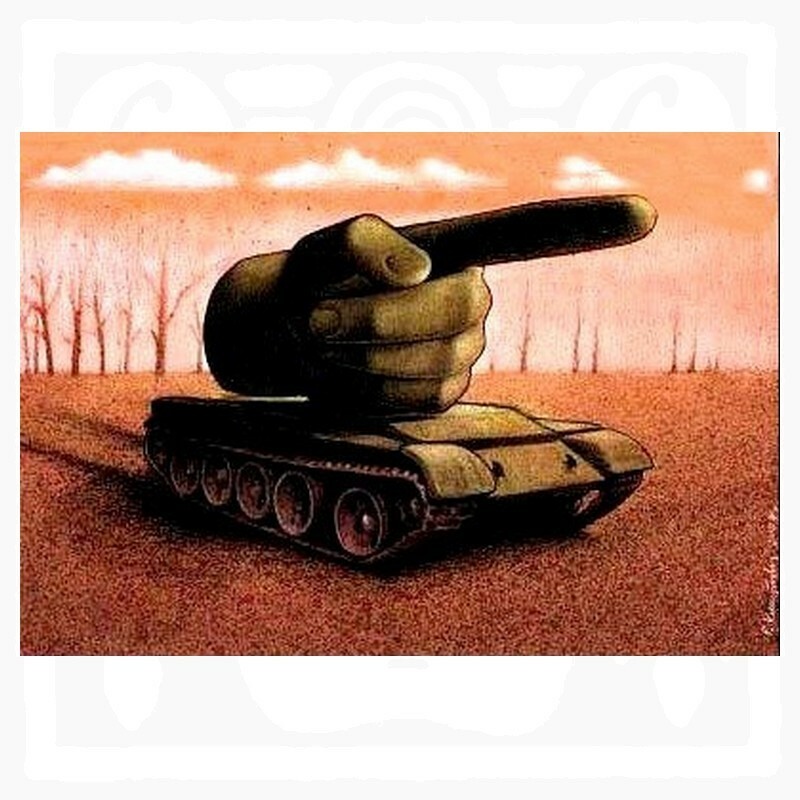 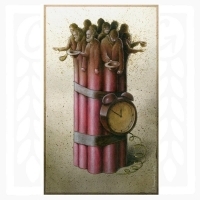 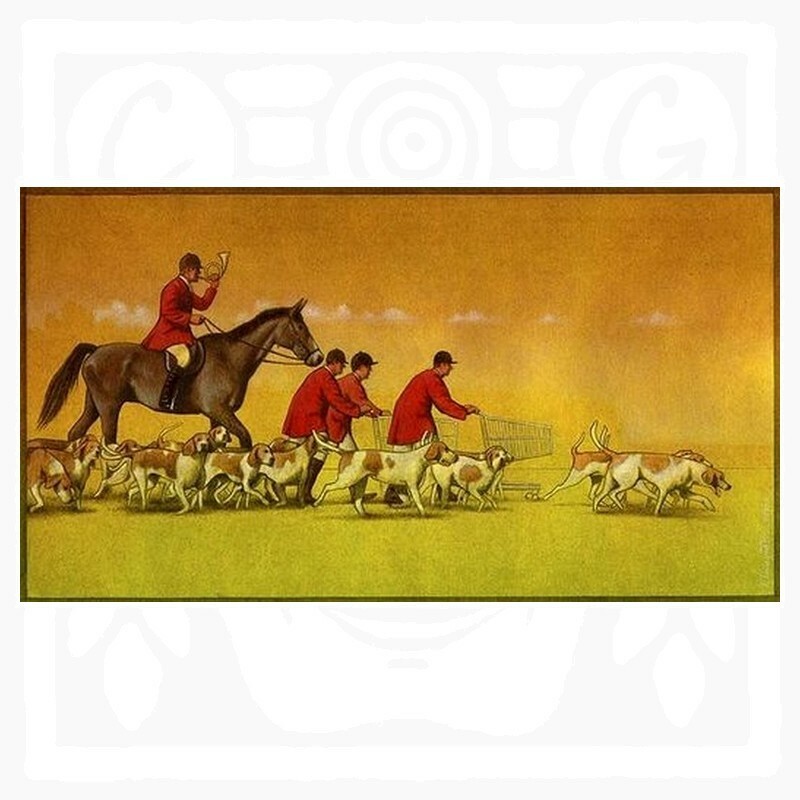 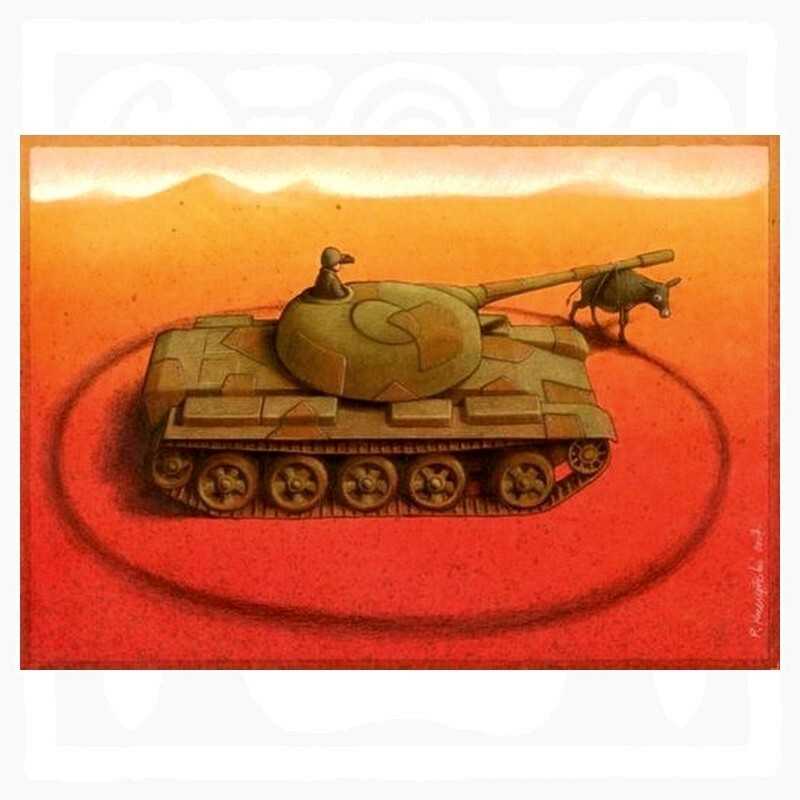 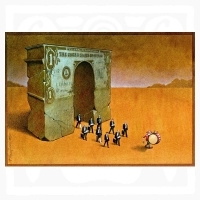 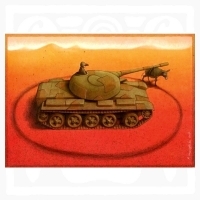 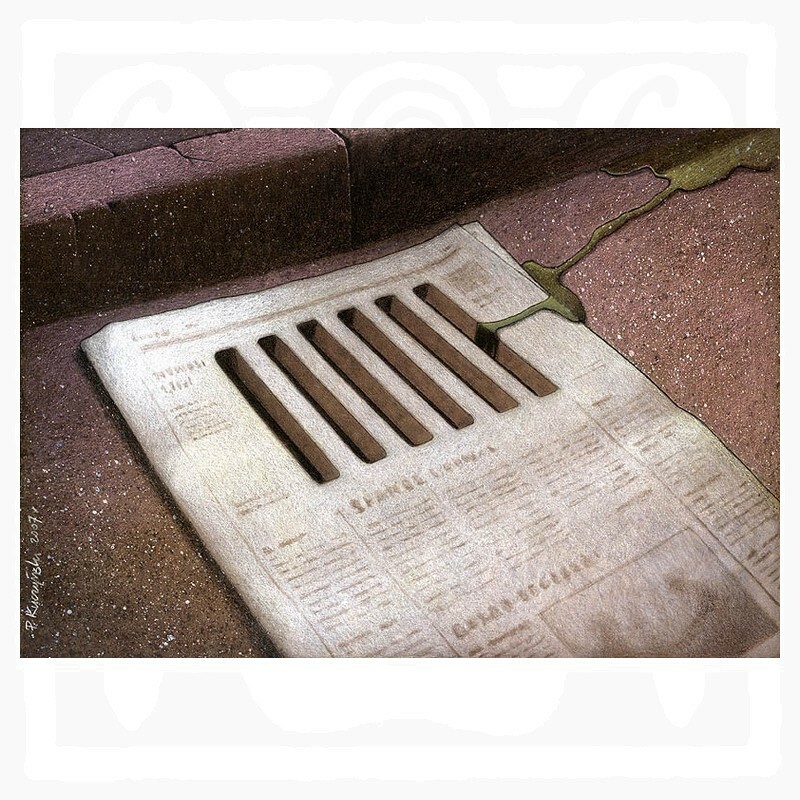 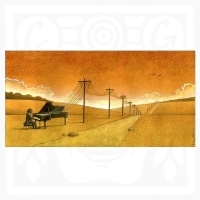 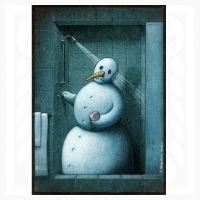 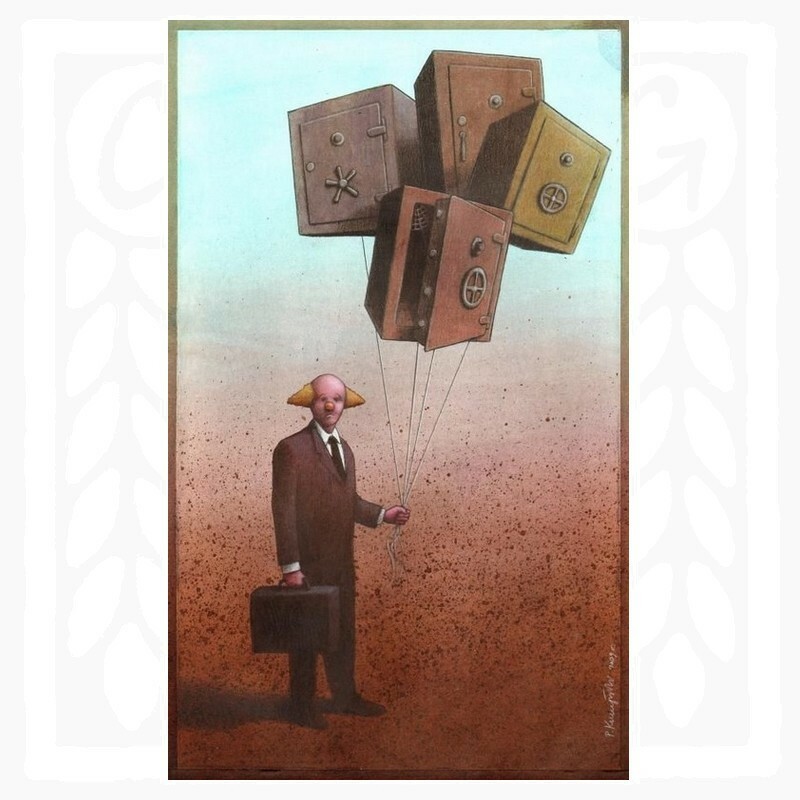 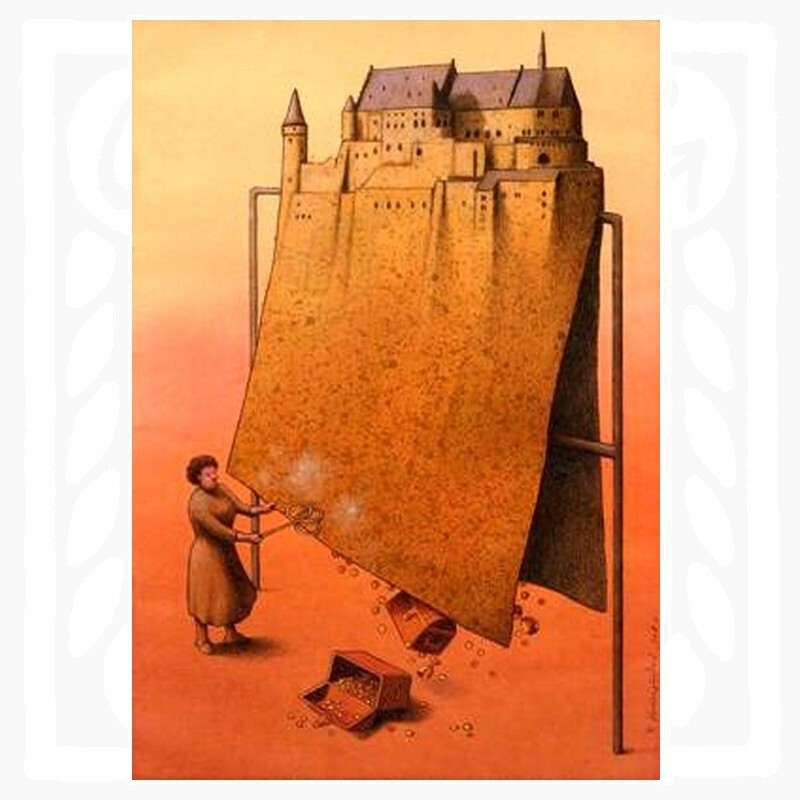 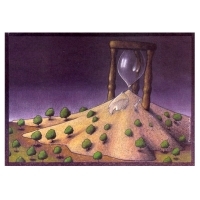 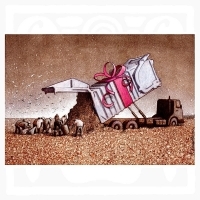 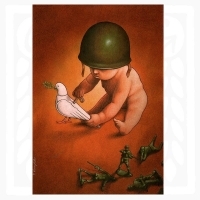 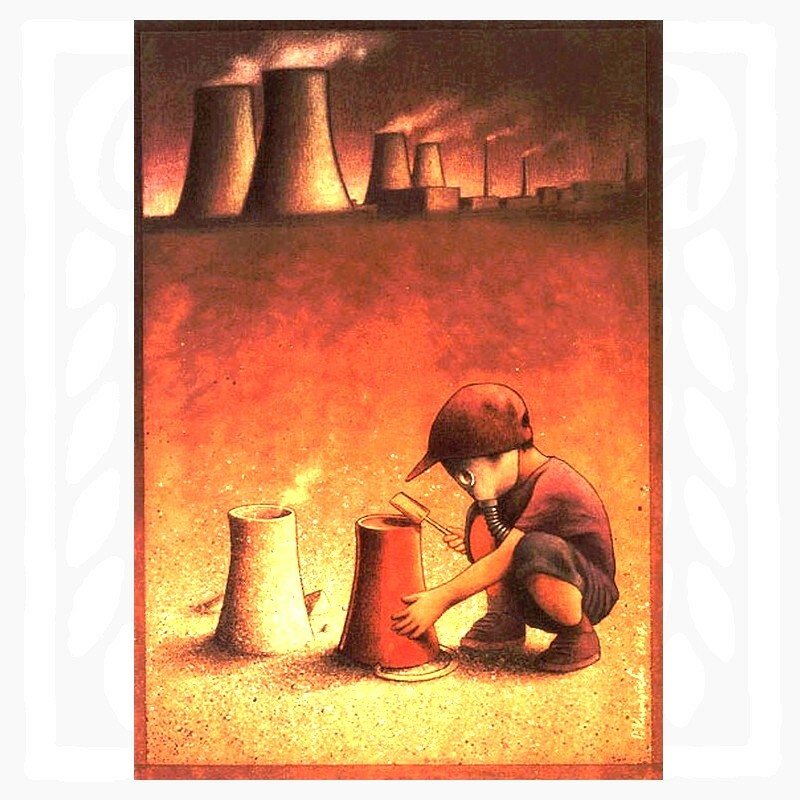 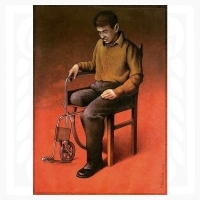 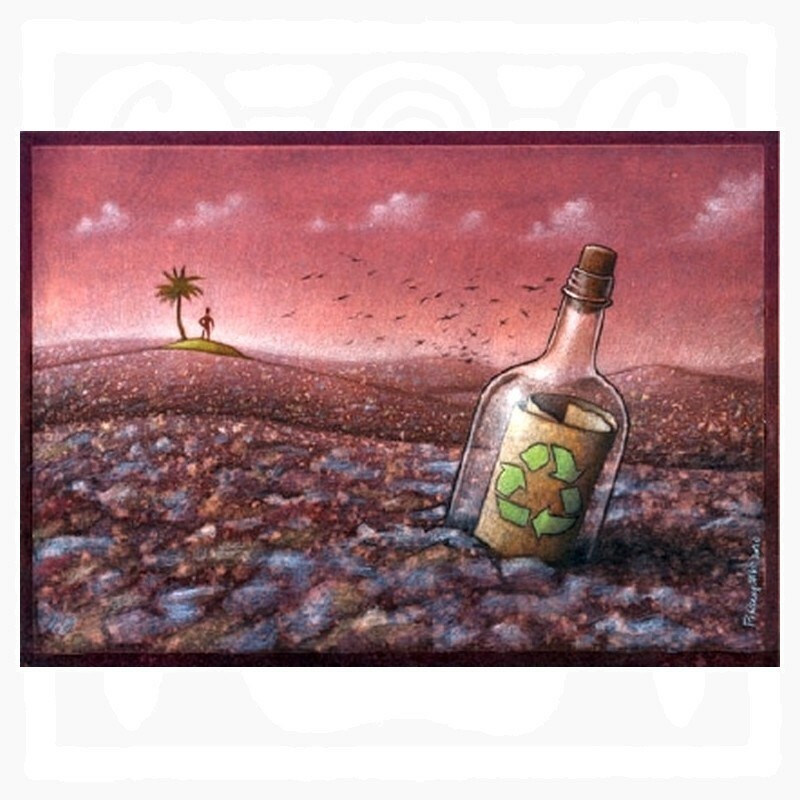 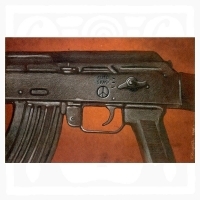 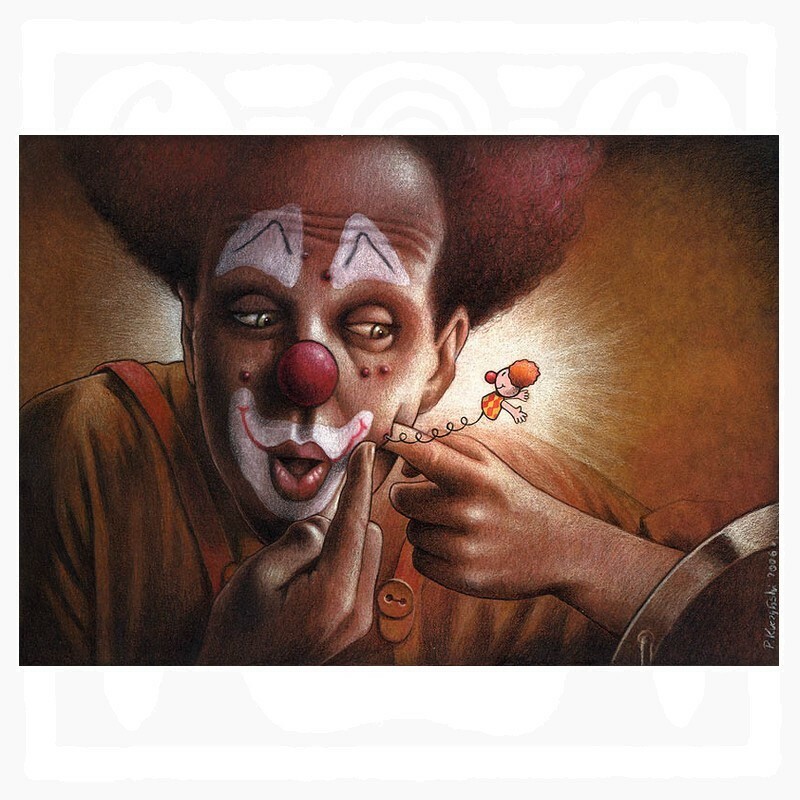 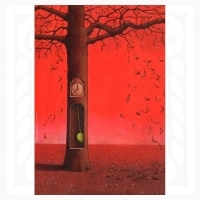 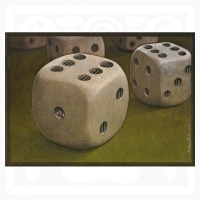 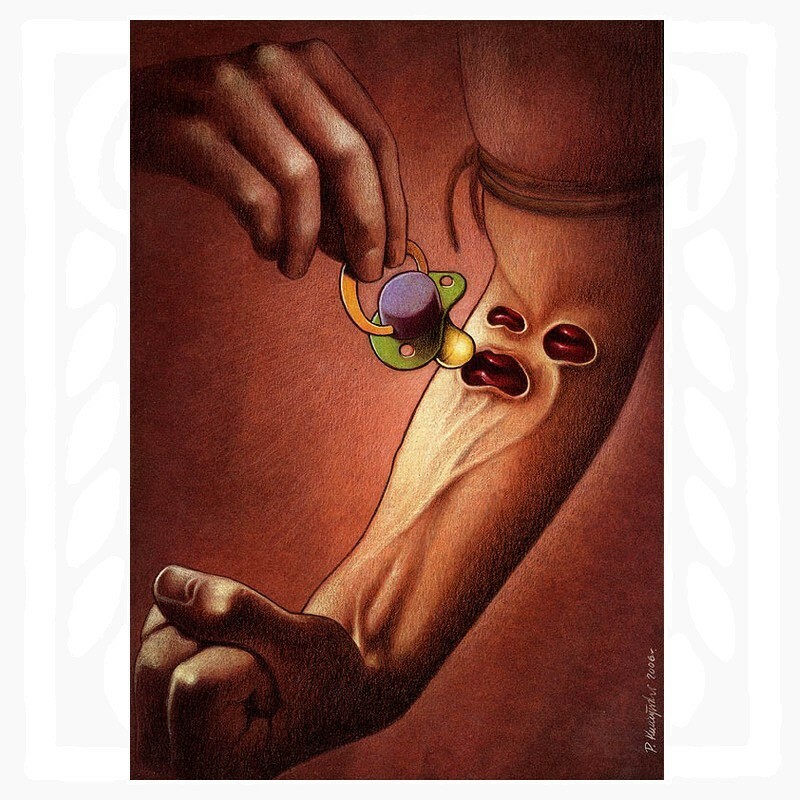 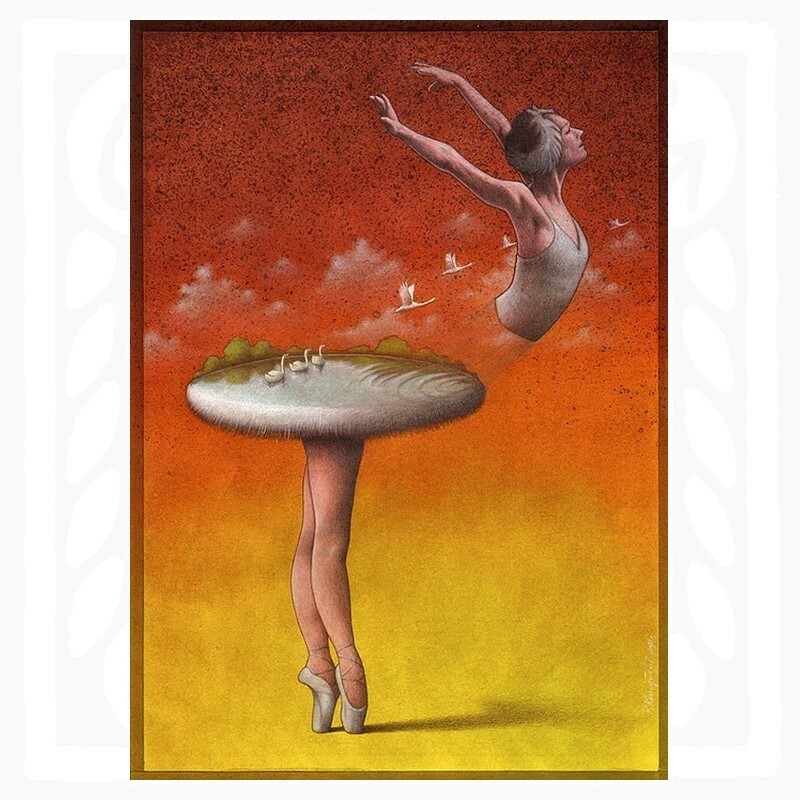 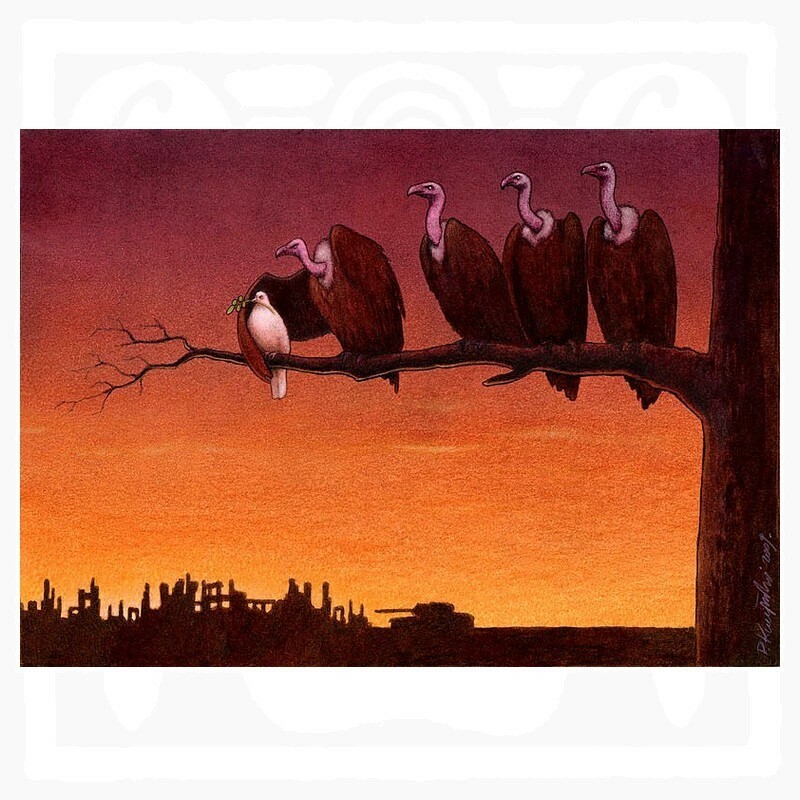 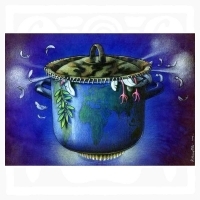 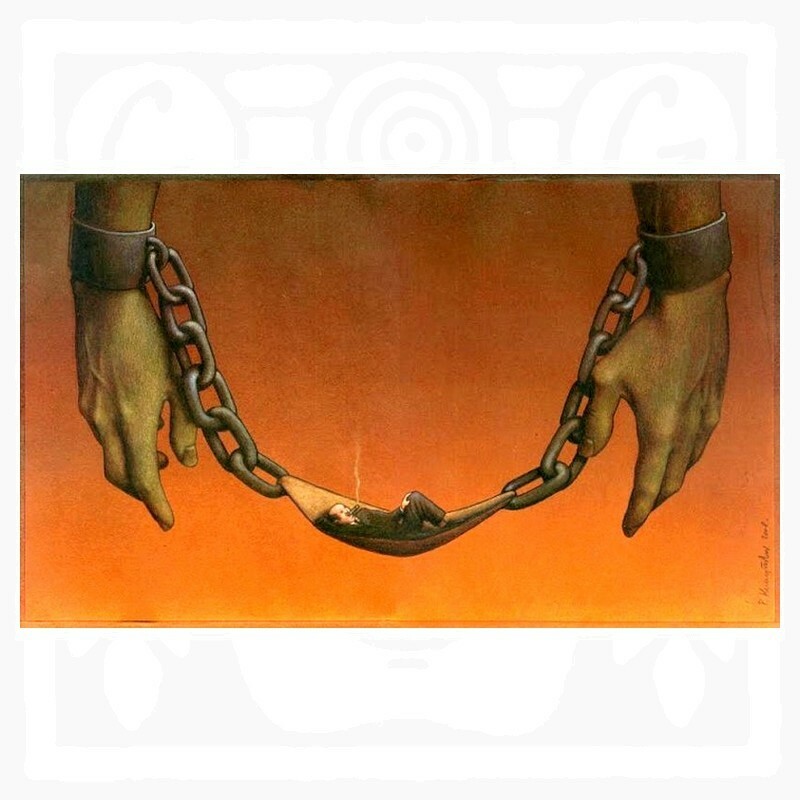 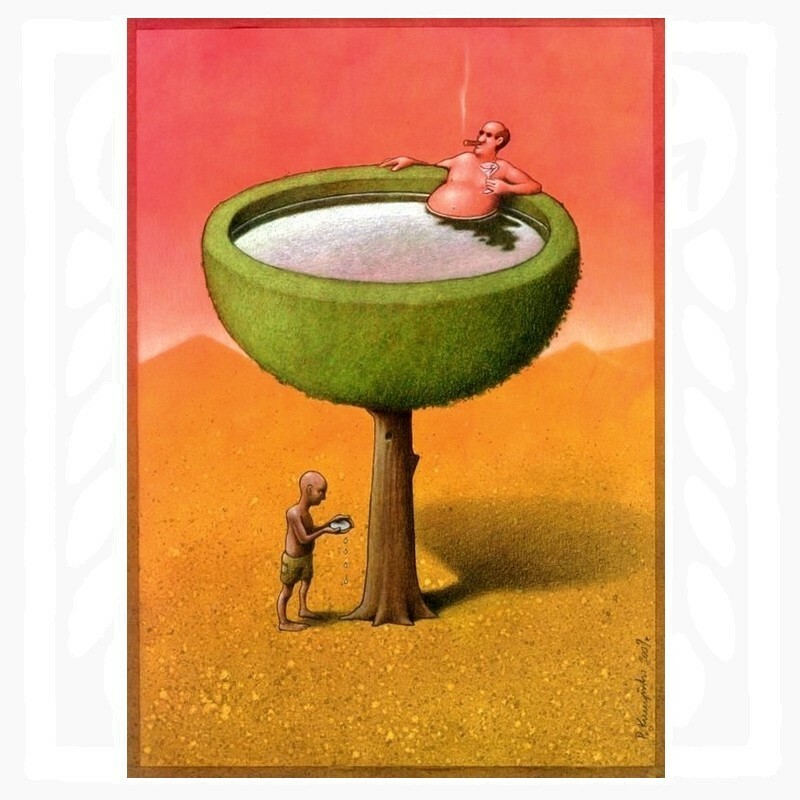 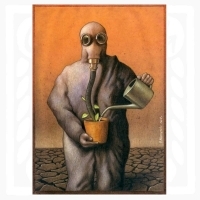 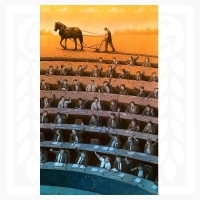 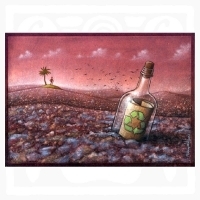 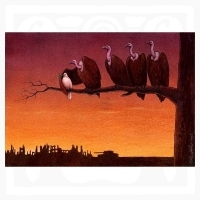 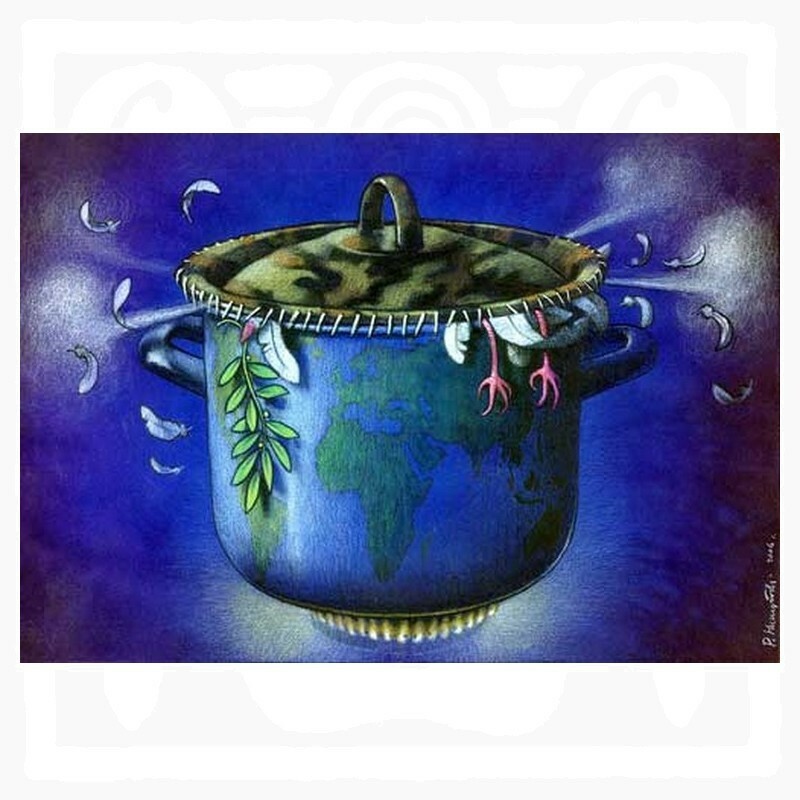 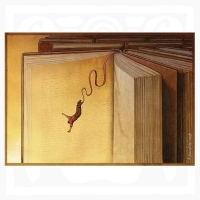 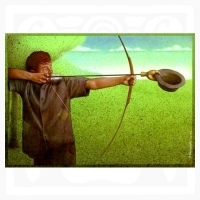 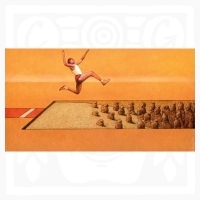 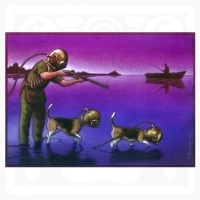 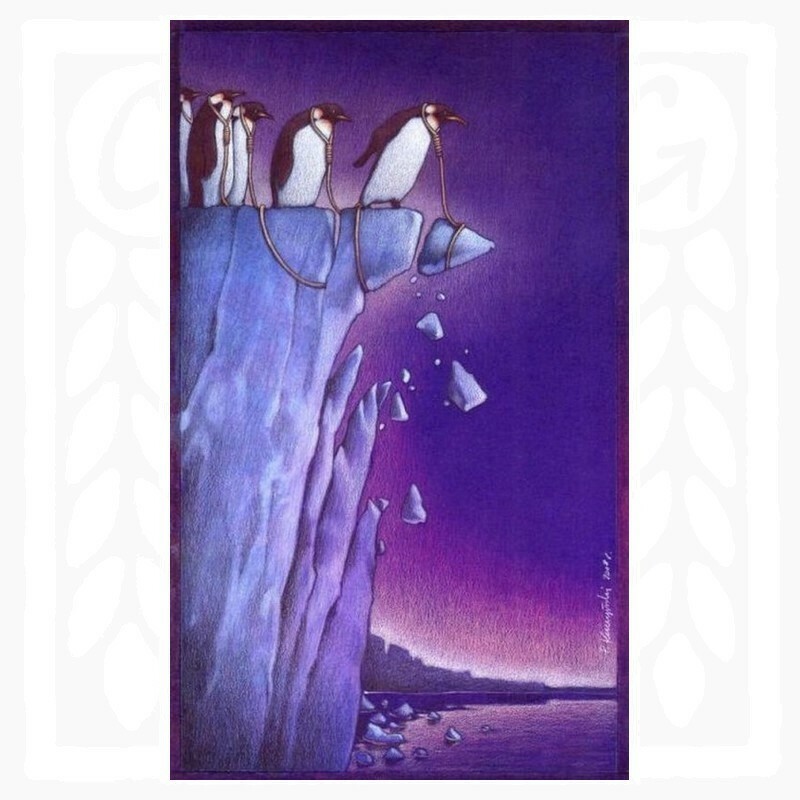 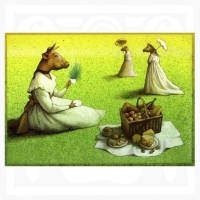 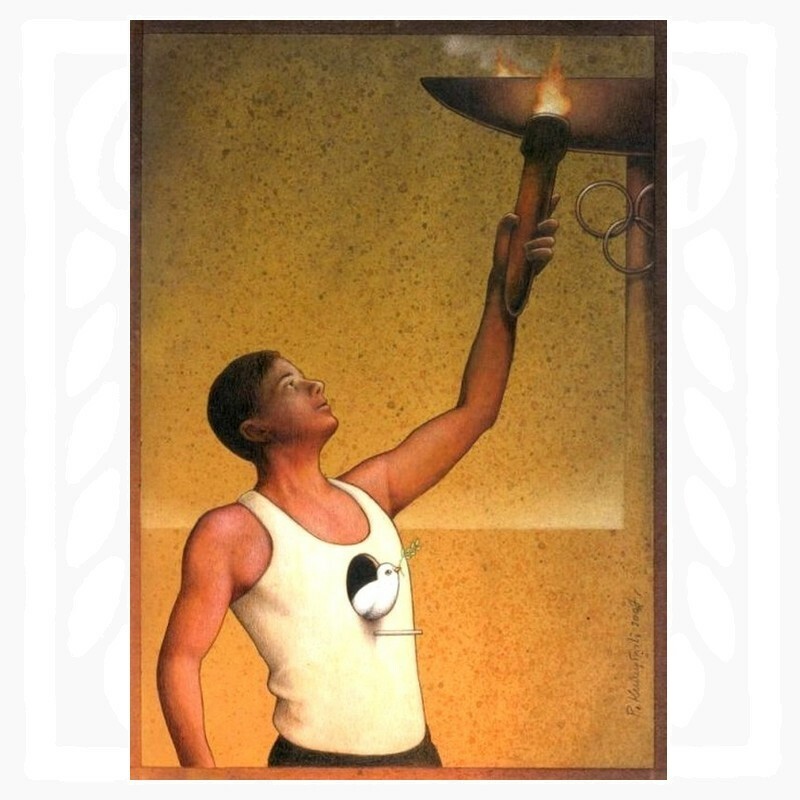 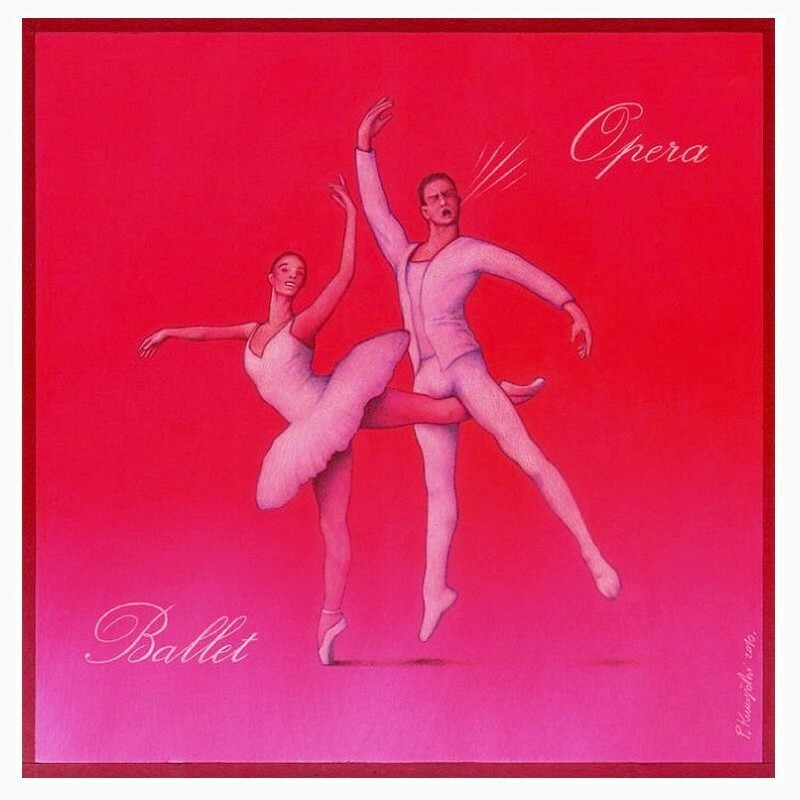 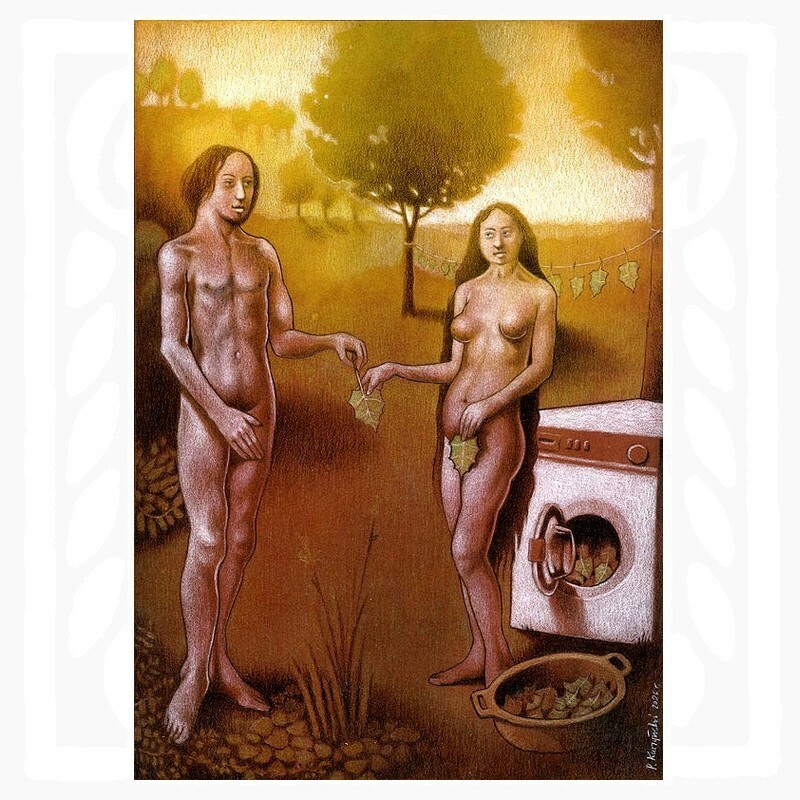 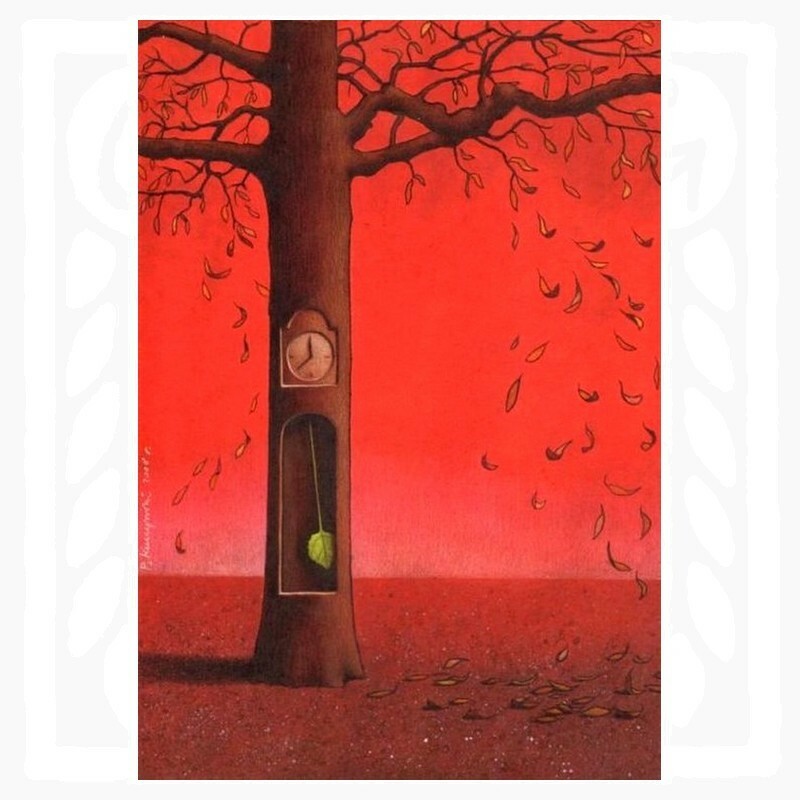 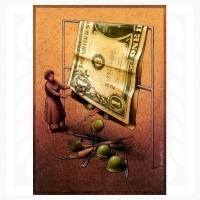 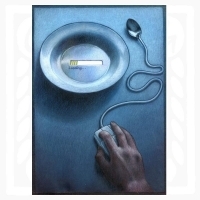 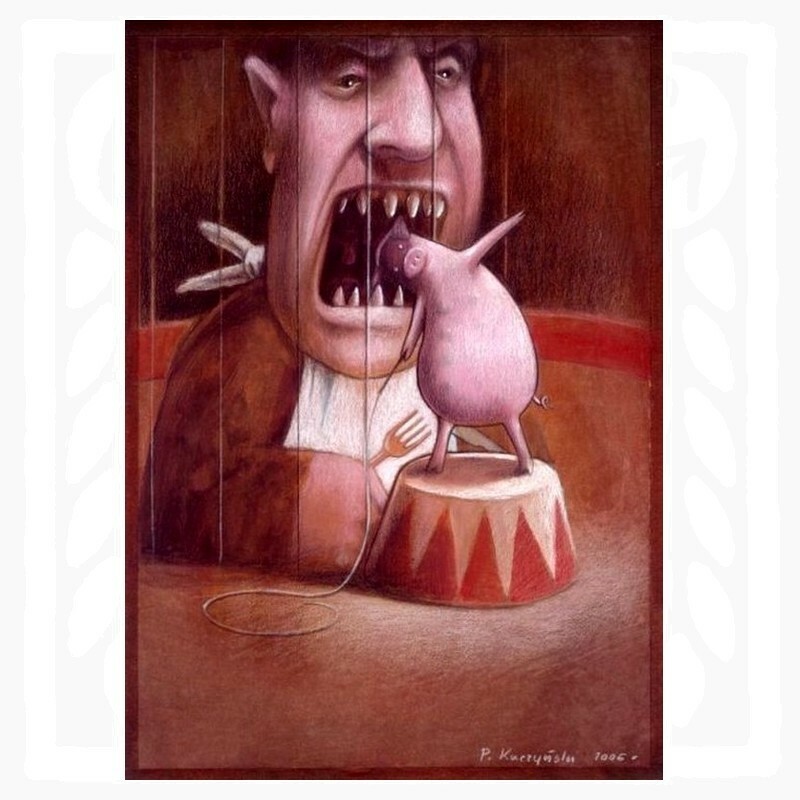 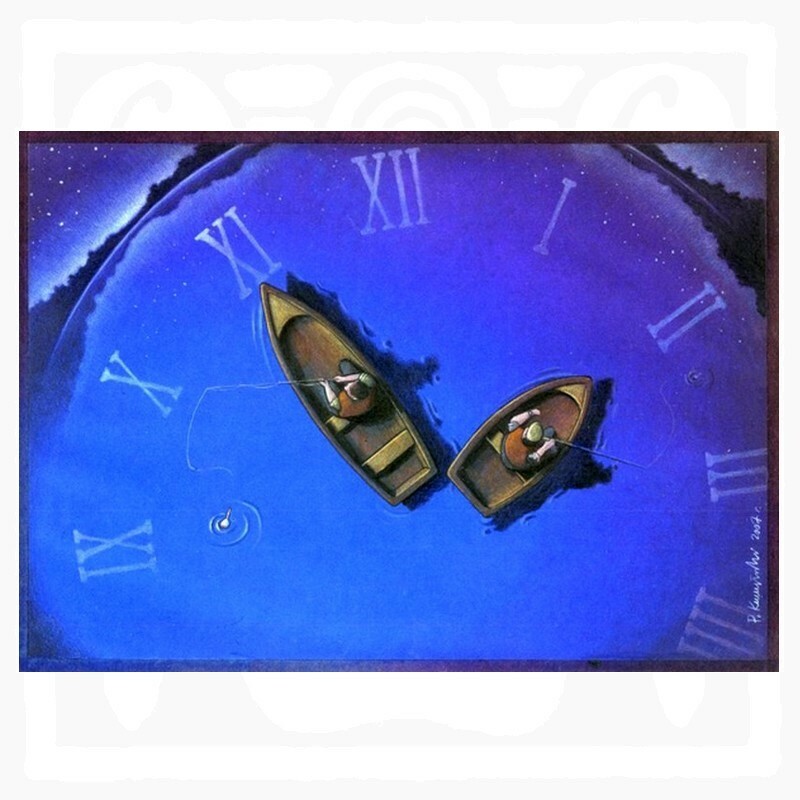 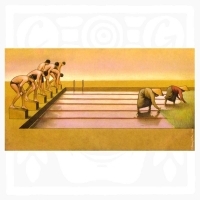 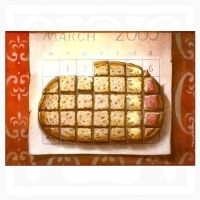 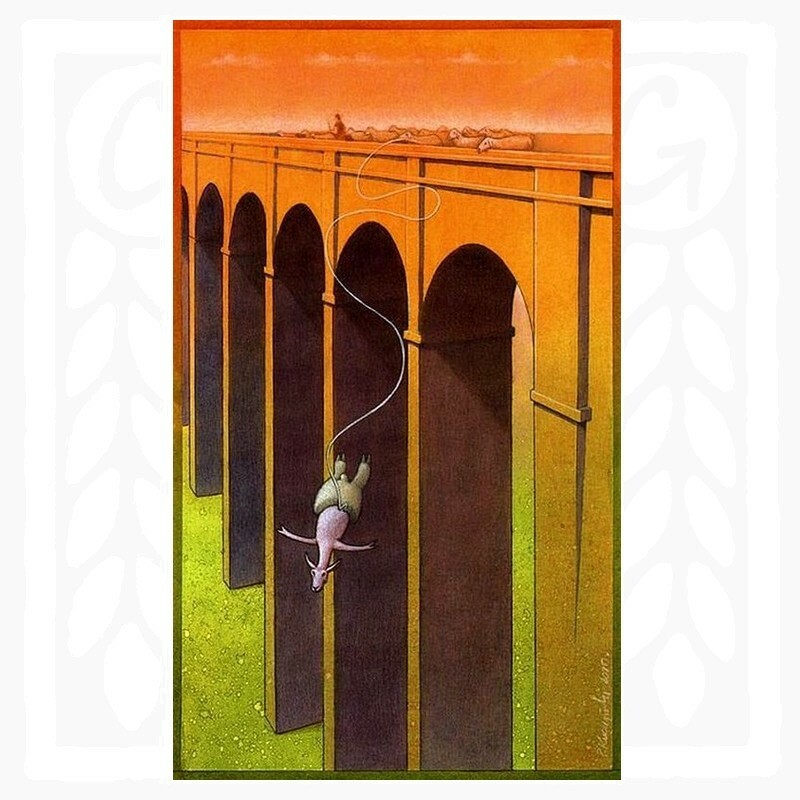 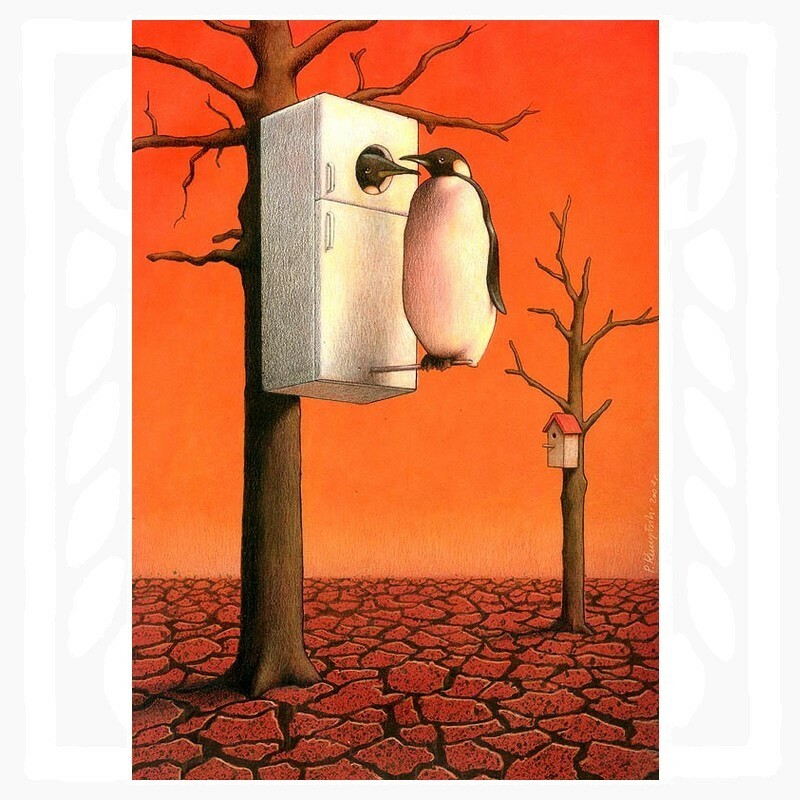 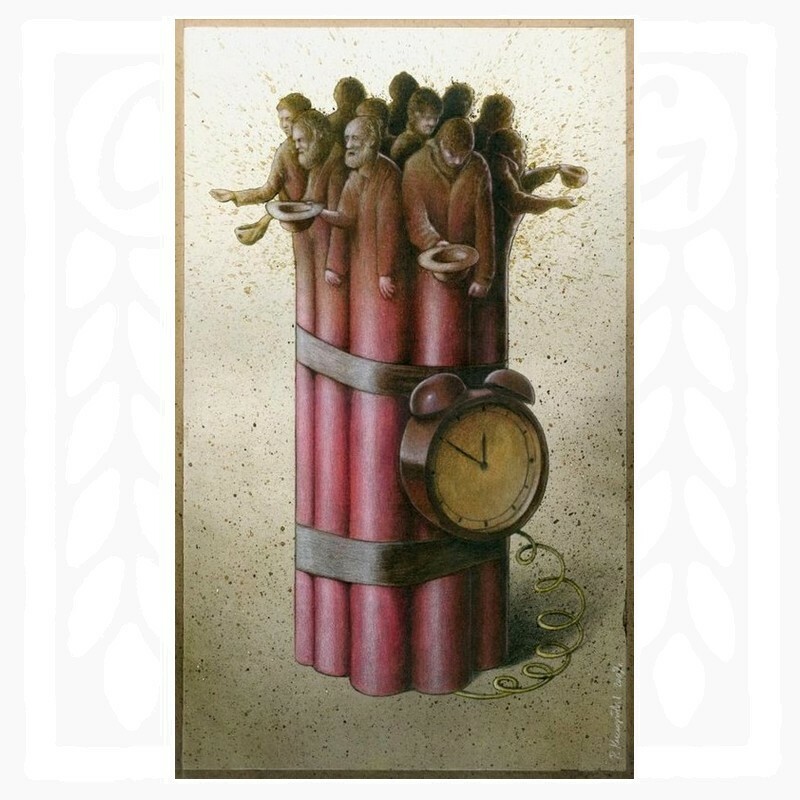 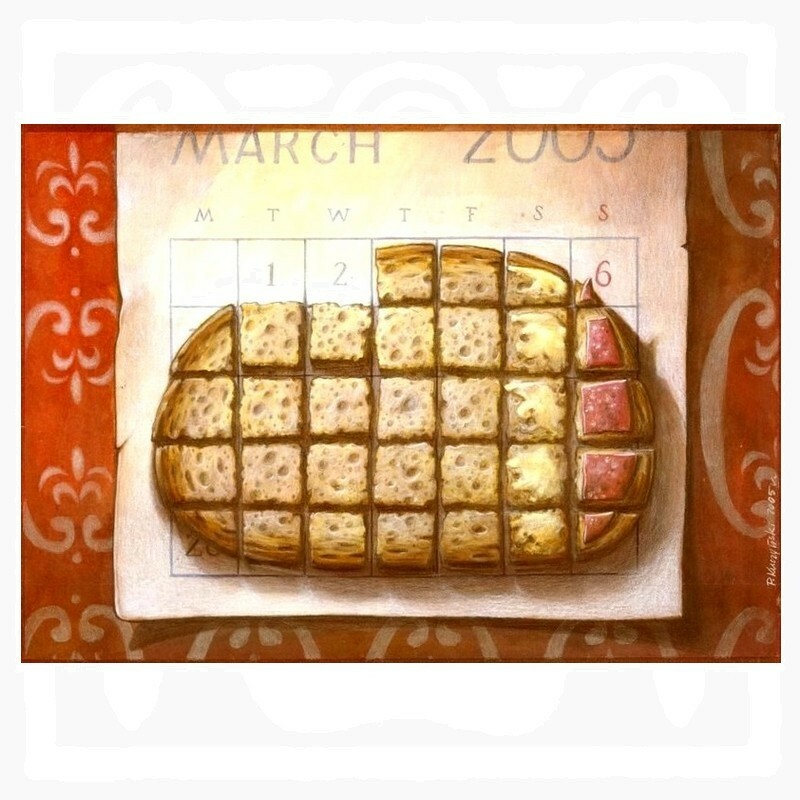 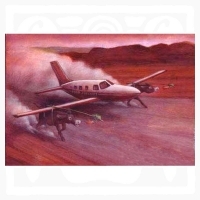 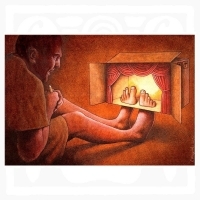 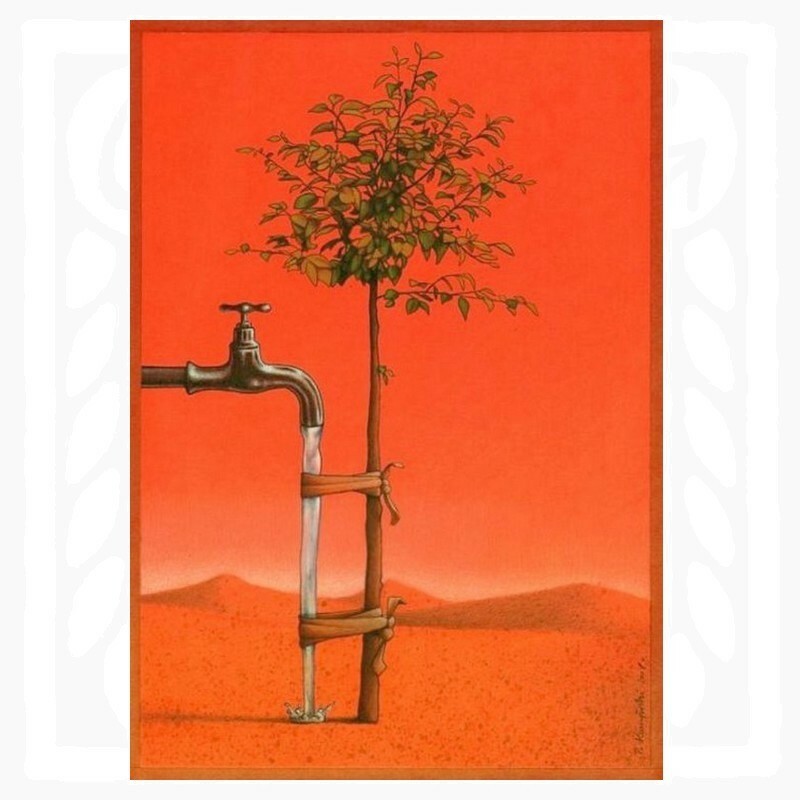 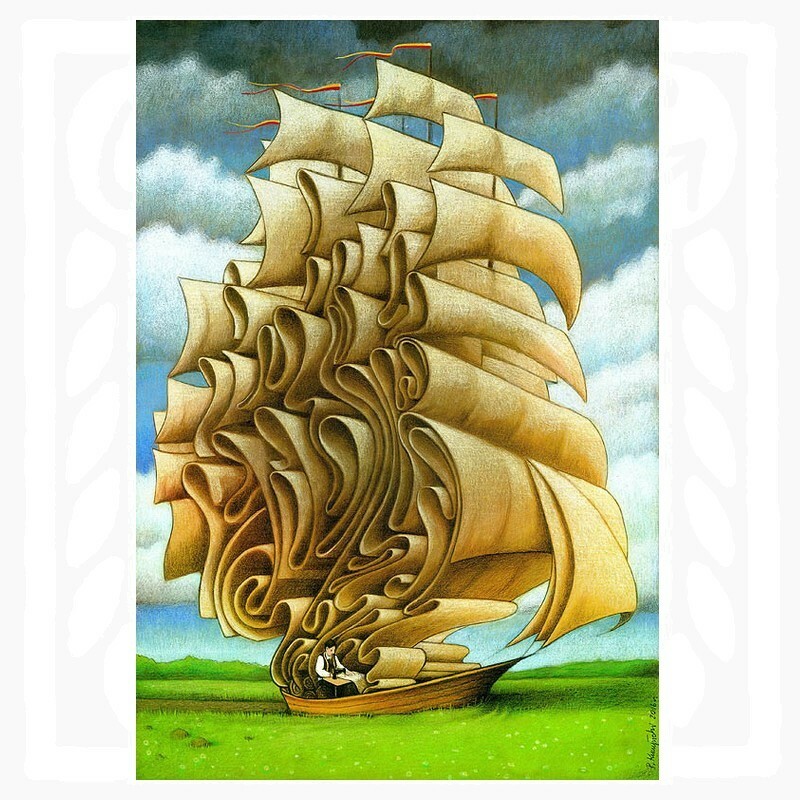 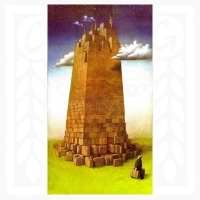 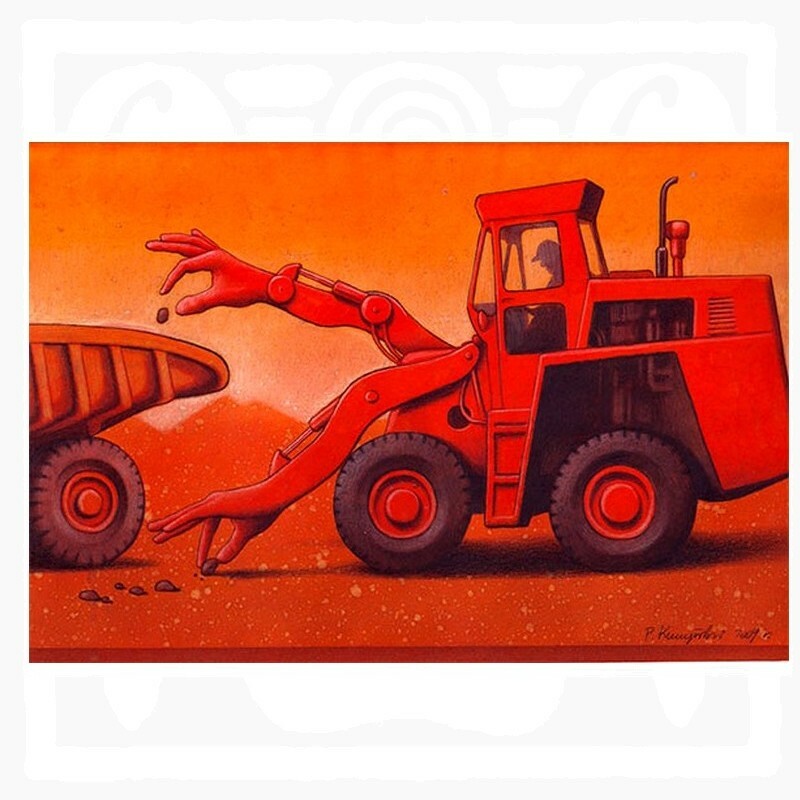 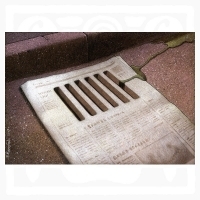 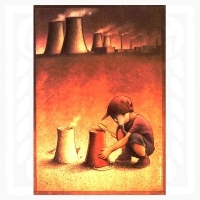 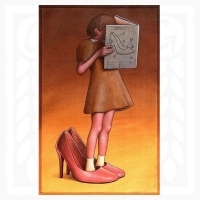 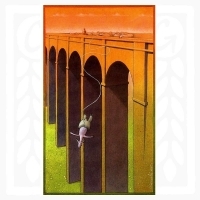 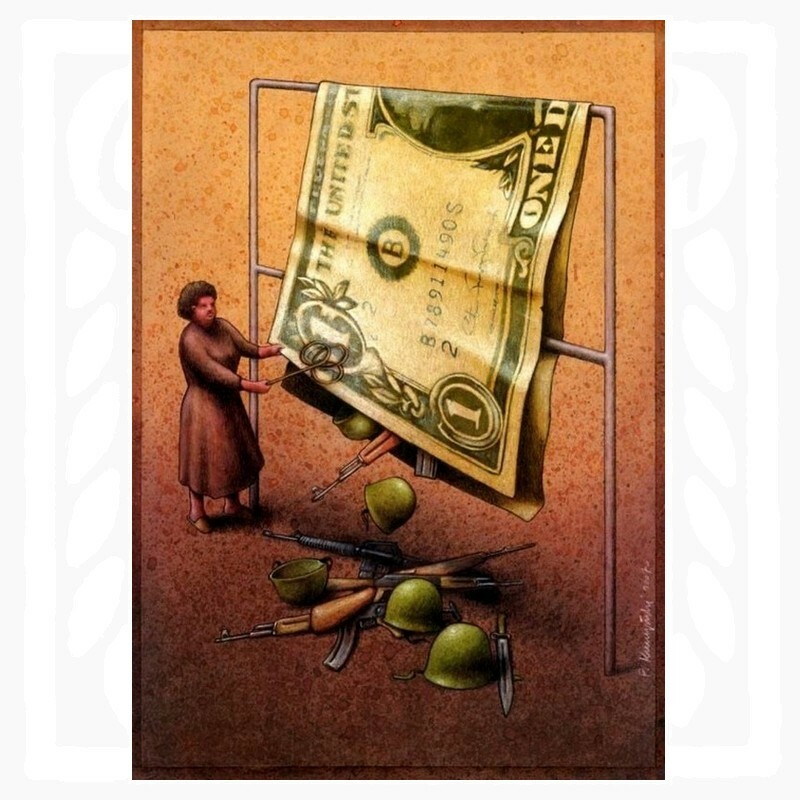 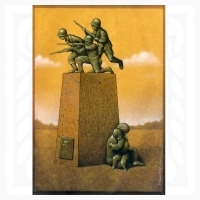 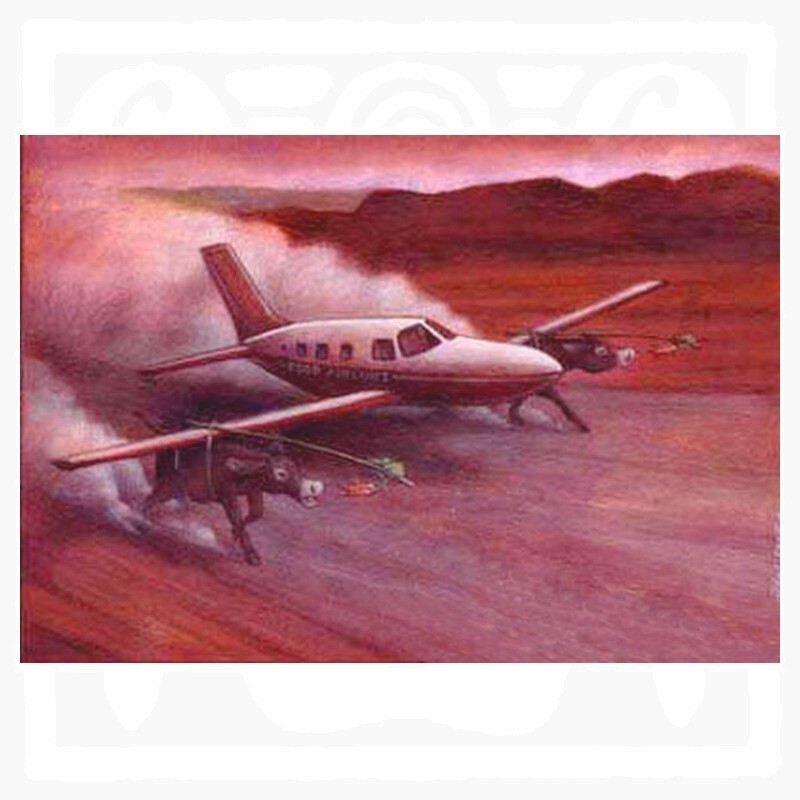 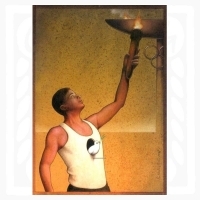 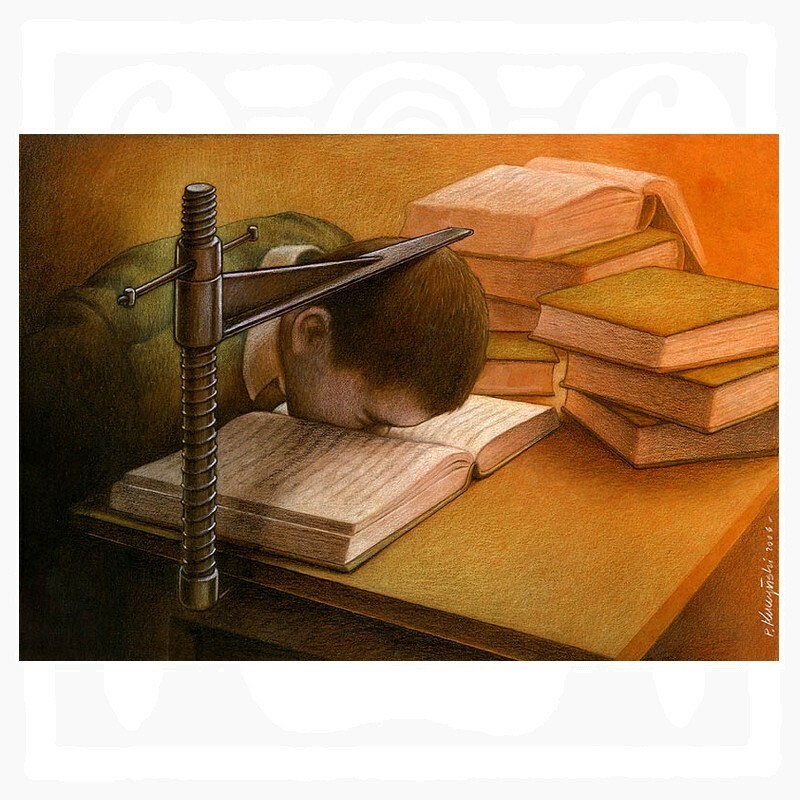 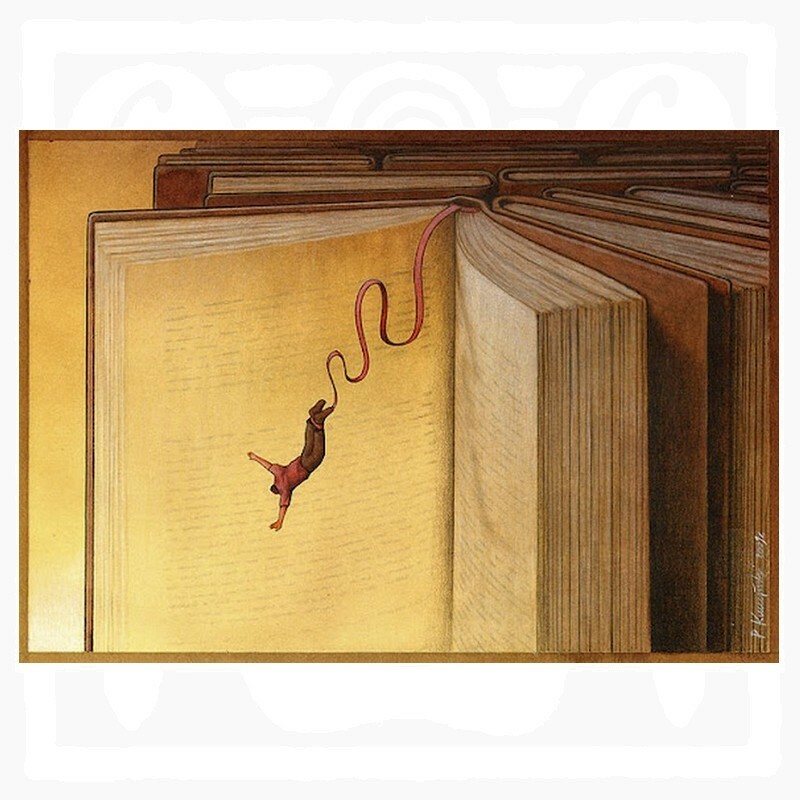 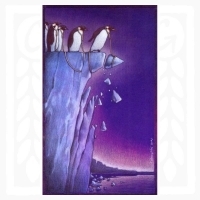 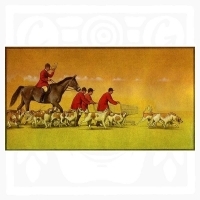 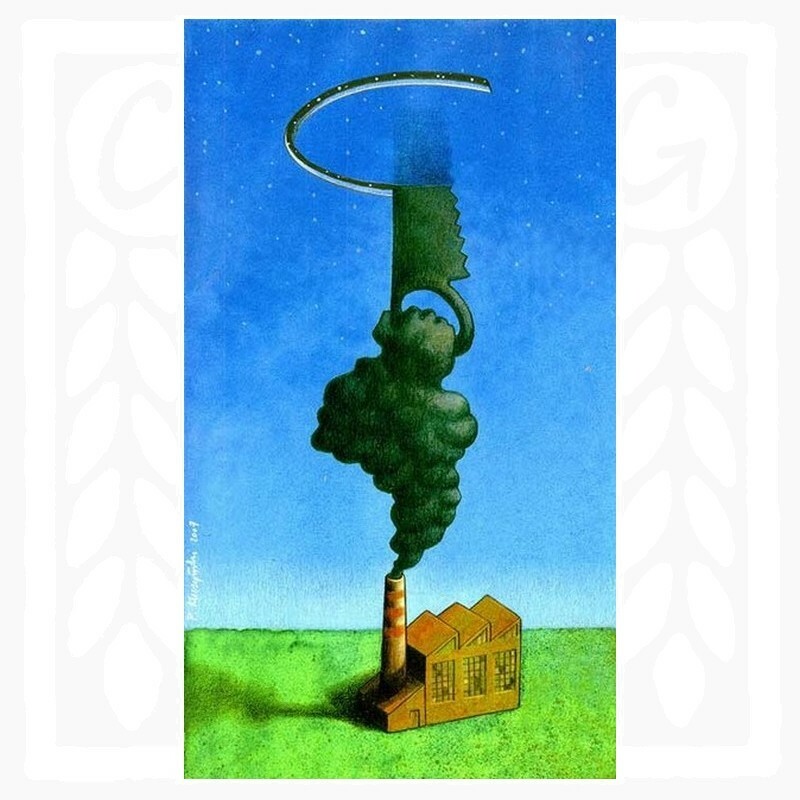 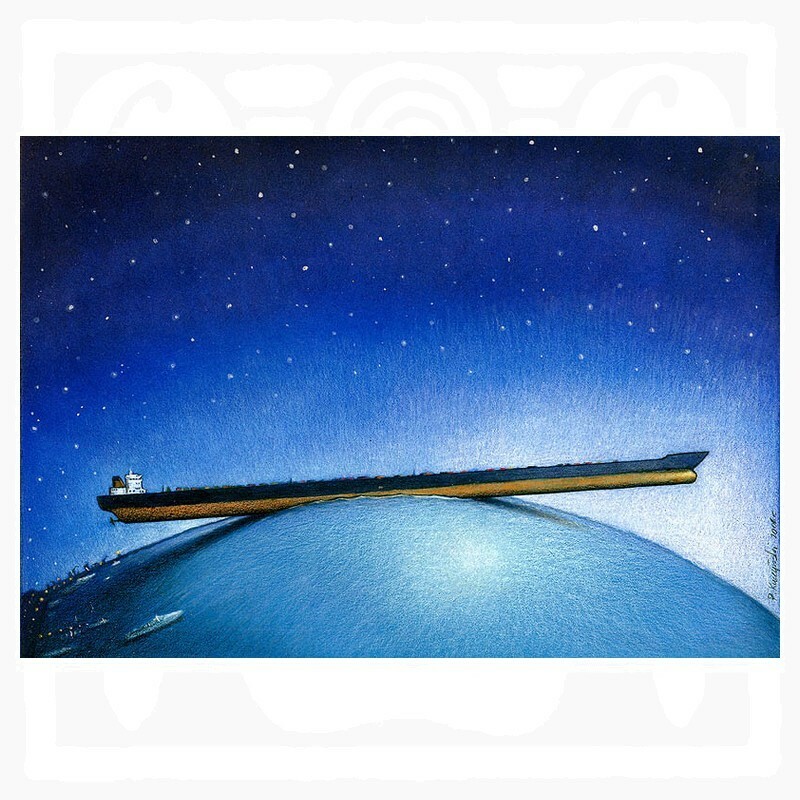 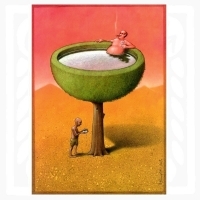 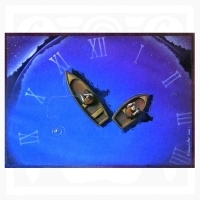 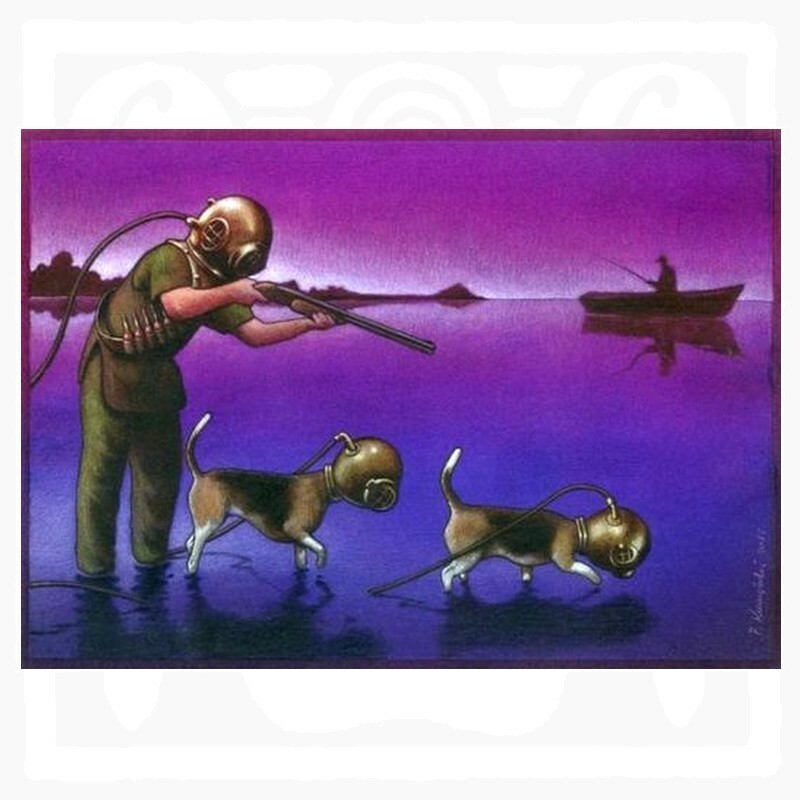 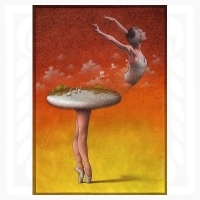 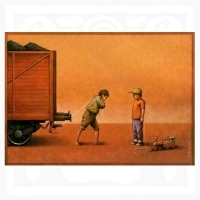 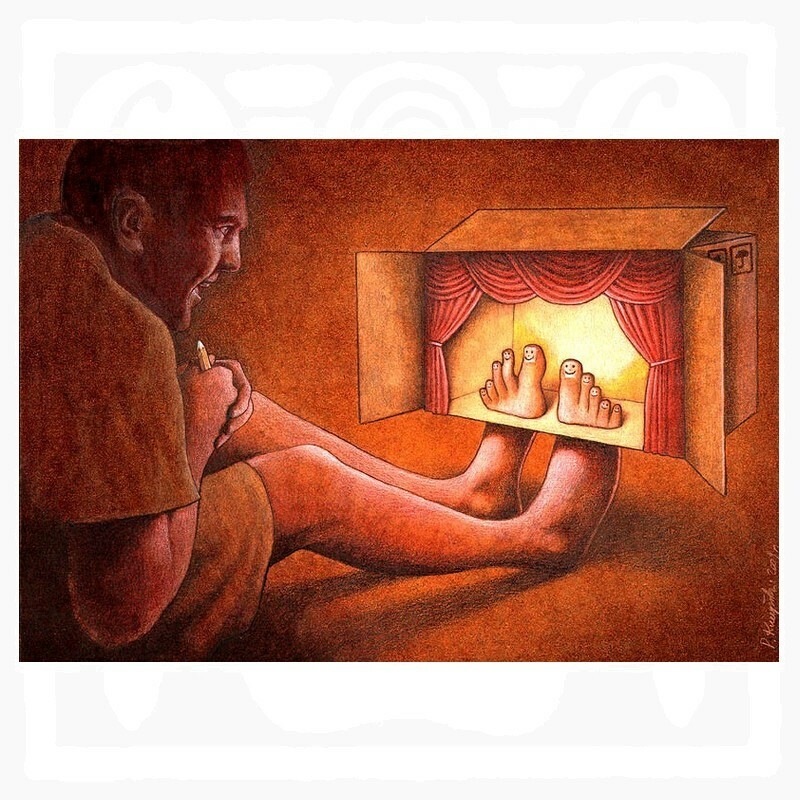 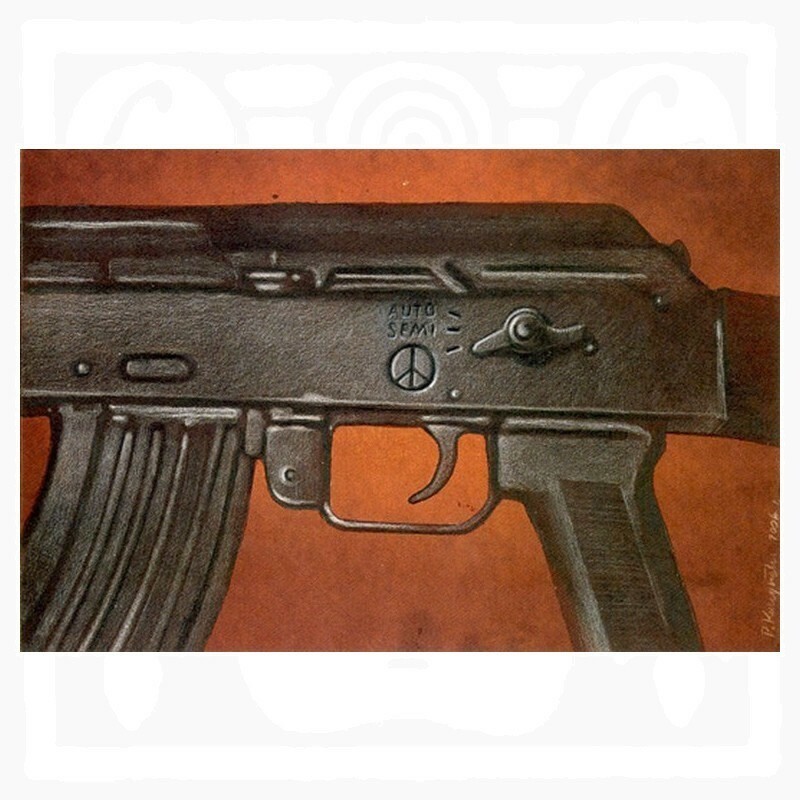 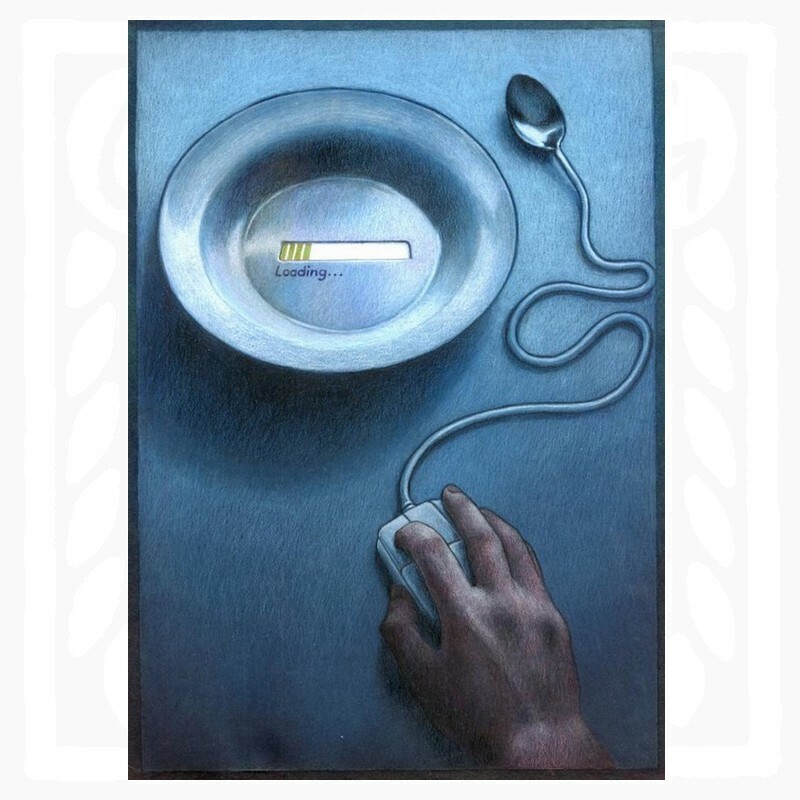 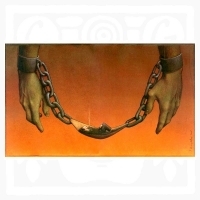 ……We are very glad to present to you a large representative selection of artworks by Pawel Kuczynski. 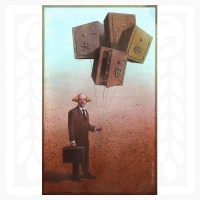 Enter to Pawel’s world and you certainly will not leave it empty-handed.